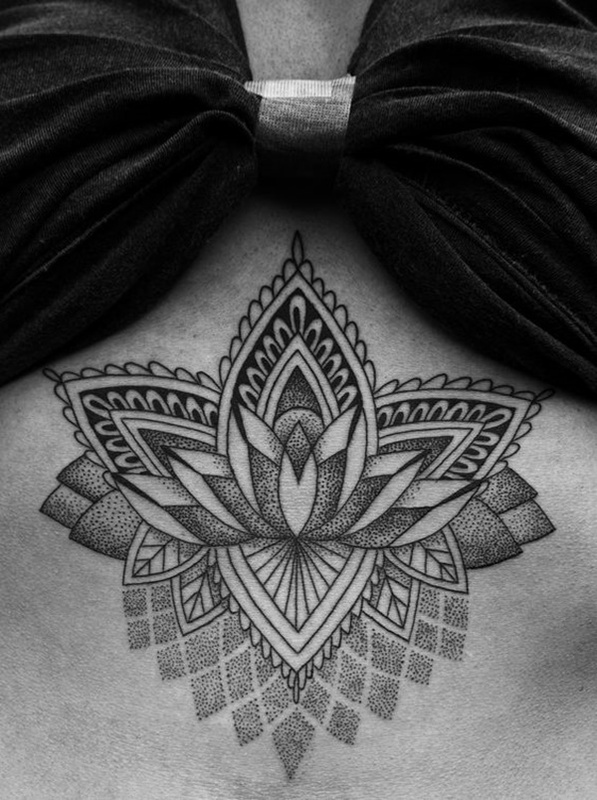 As the name implies, dotwork tattoos are made of tiny dots and created with plenty of effort and patience. 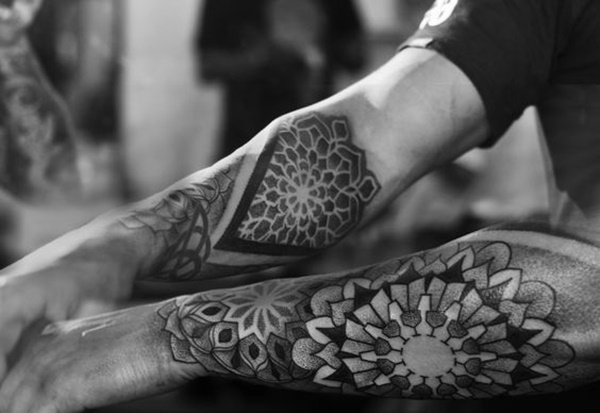 Complex designs require hours of hard work, which means the tattoo artist should be skilled, experienced, and extremely patient. 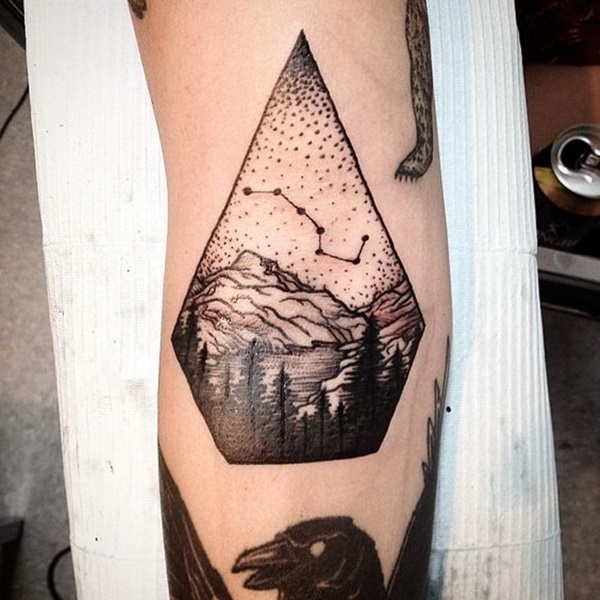 Talented artists can produce beautiful tattoos that look quite neat and not messy. 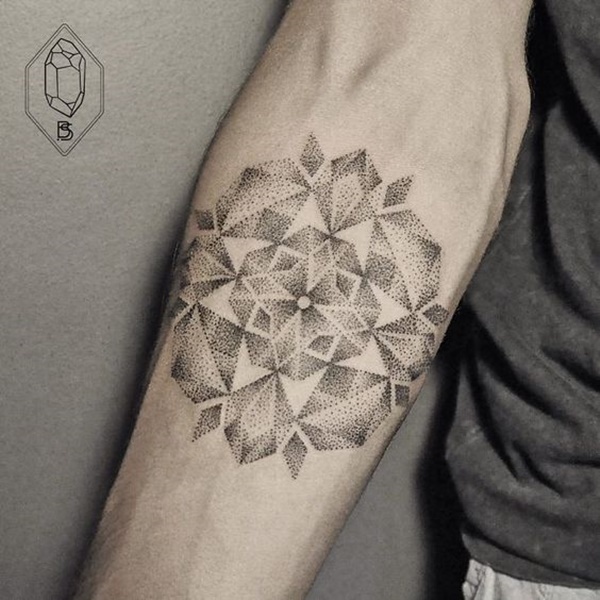 In some cases, dotwork tattoo artists choose the hand-poking technique instead of using tattoo machines to achieve their desired effect. 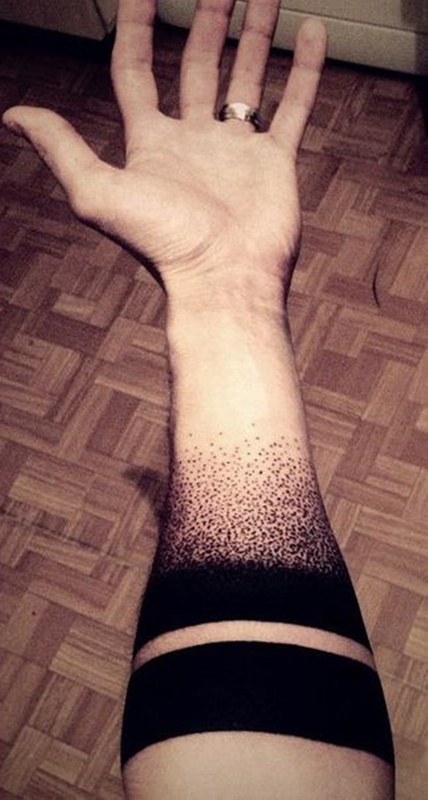 Dotwork tattoos are truly amazing. Because of the time-consuming handiwork involved, they often showcase impressive shading and intricate detailing. 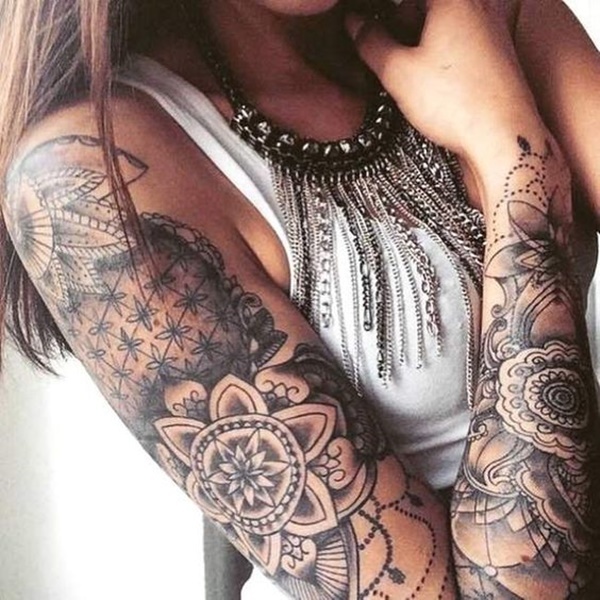 Black and gray inks are typically used to create these tattoos. Shades of color, especially red, are also sometimes added to create an attractive contrast. 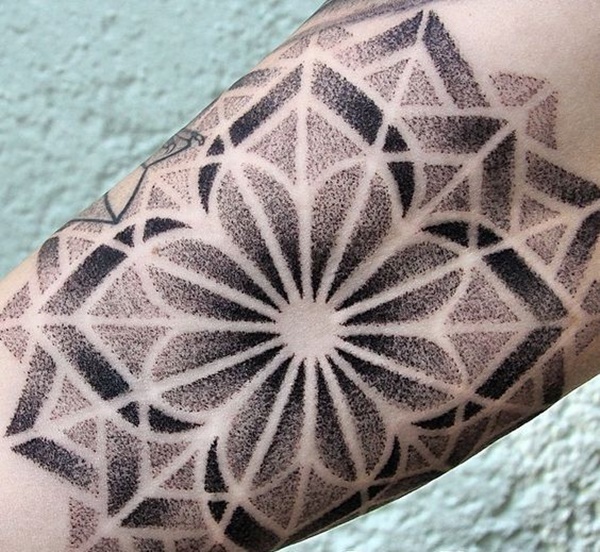 The most common subjects for dotwork tattoos include geometric, mandala, and spiritual tattoos. 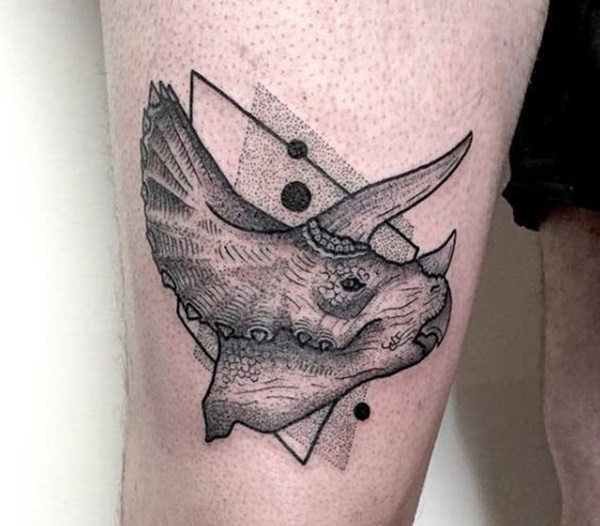 Animal designs and decorative patterns also look best when done using the dotwork tattooing technique. 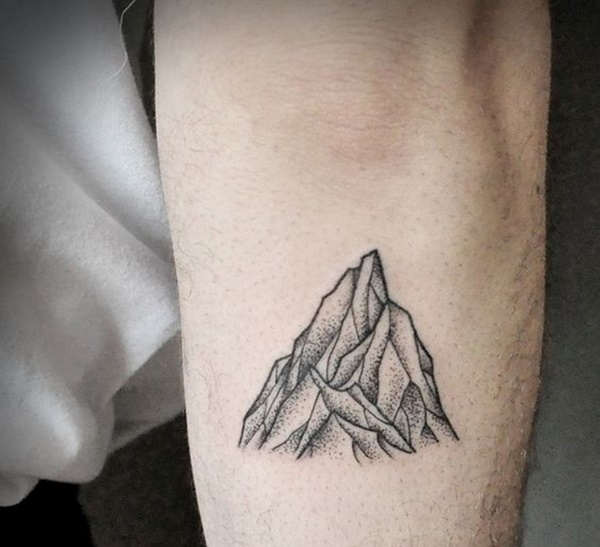 Take a look at this collection of 100 superb tattoos. 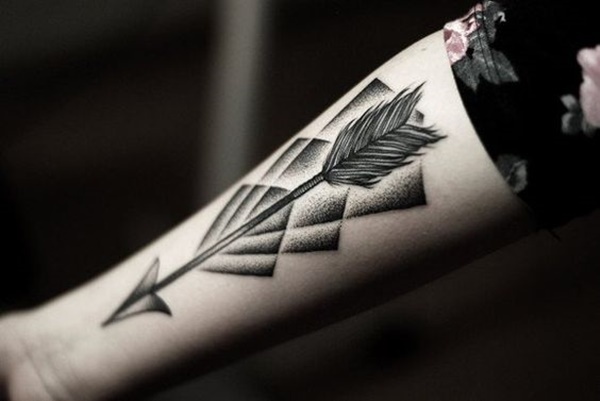 Arrow tattoos symbolize a sense of direction. 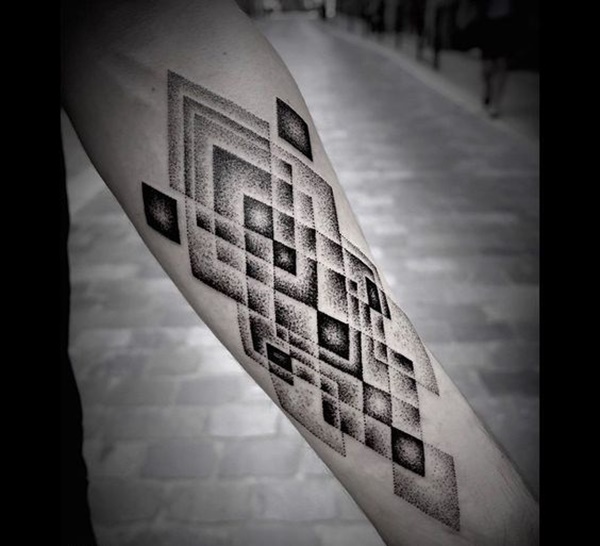 This wonderful forearm tattoo shows off meticulous details, with black shading deftly shifting to gray areas. 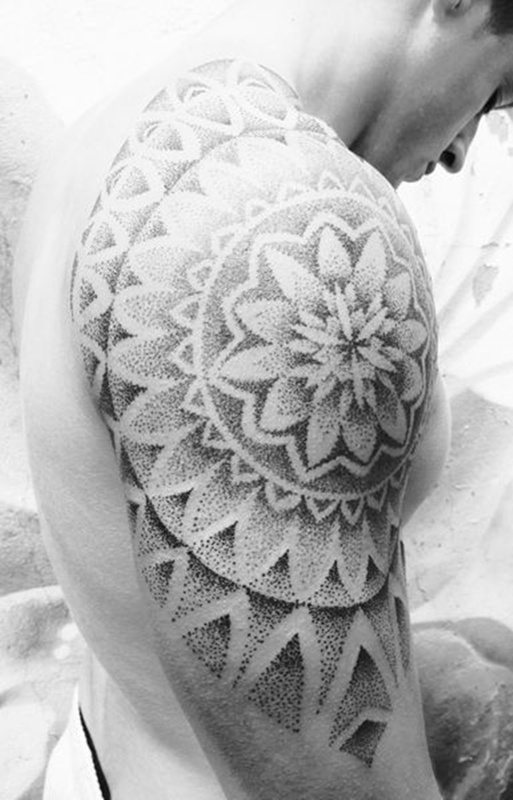 Dotwork tattoos look all the more impressive the bigger they are. The combination of heavy and light shading and different patterns lend a wonderful proportion to this arm sleeve tattoo. 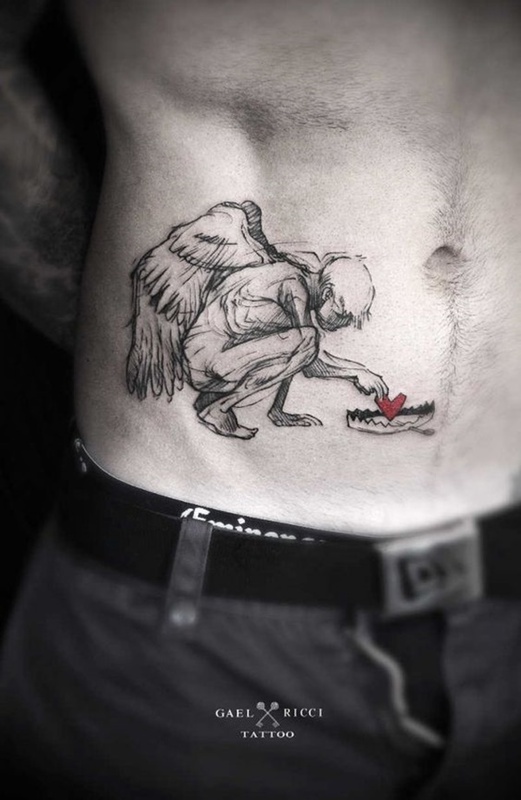 This sketchy stomach tattoo portrays a very meaningful and thought-provoking design, in which a forlorn man with wings crouches and reaches for a heart, although the heart is seemingly set inside a trap. 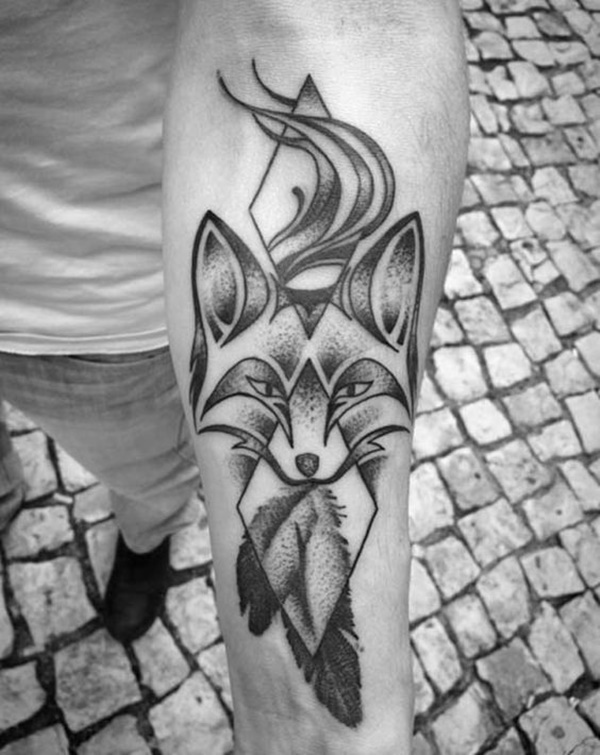 The artistic transition from heavy shading to light grey shading makes this forearm tattoo pleasing to the eye. 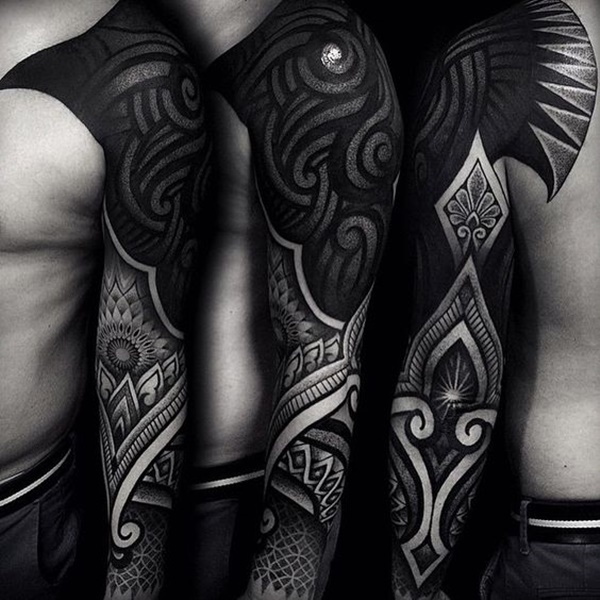 Stretching from the chest to the shoulder and upper arm, this wonderful tattoo boasts creative lines and shapes. Triangular shapes lie side by side and point toward a central, circular area. 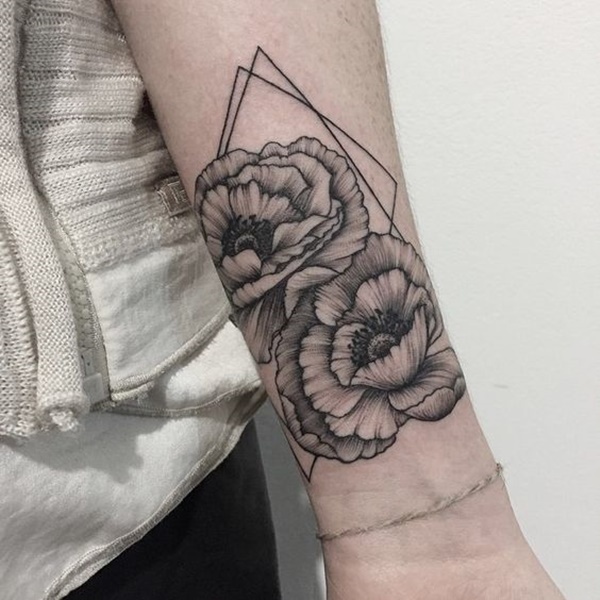 The use of dotwork technique brings out the proportional beauty of this geometric tattoo. 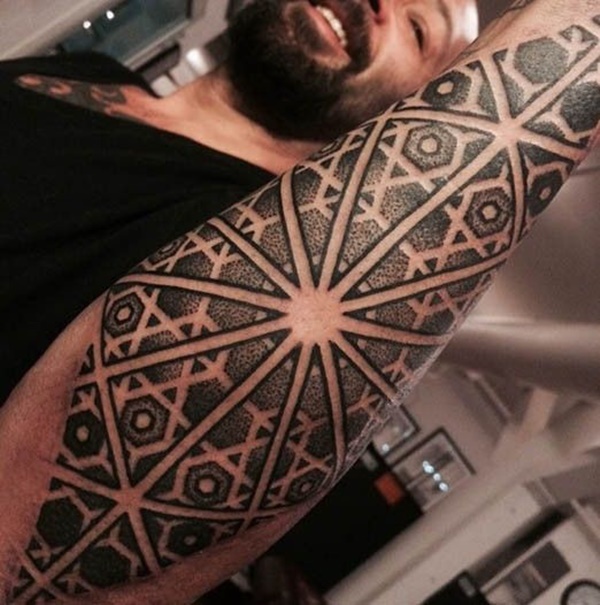 What can you inside this unique, personalized X-shaped tattoo? 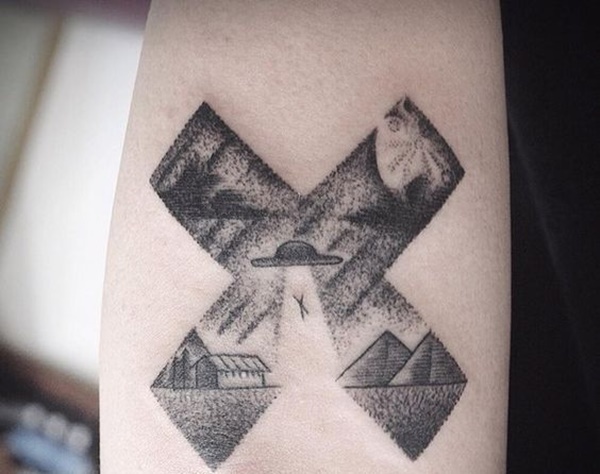 Pyramids on one corner and perhaps a man falling beneath a UFO? 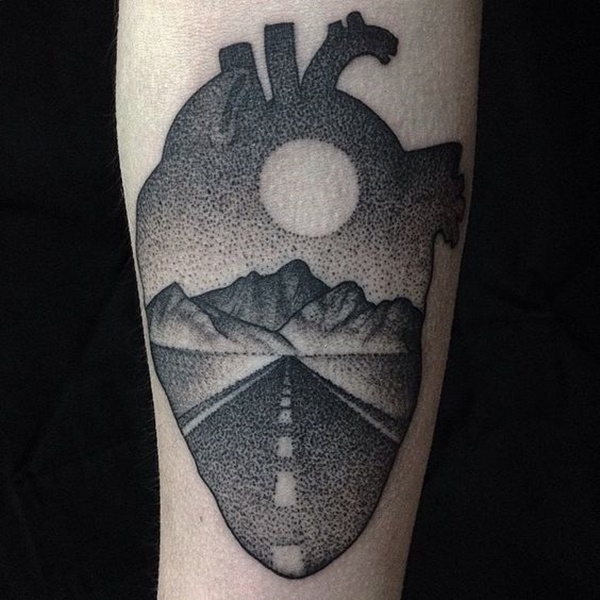 If traveling is where your heart is, this symbolic tattoo is perfect for you. A journey in the middle of the road lies inside the outline of a real heart. 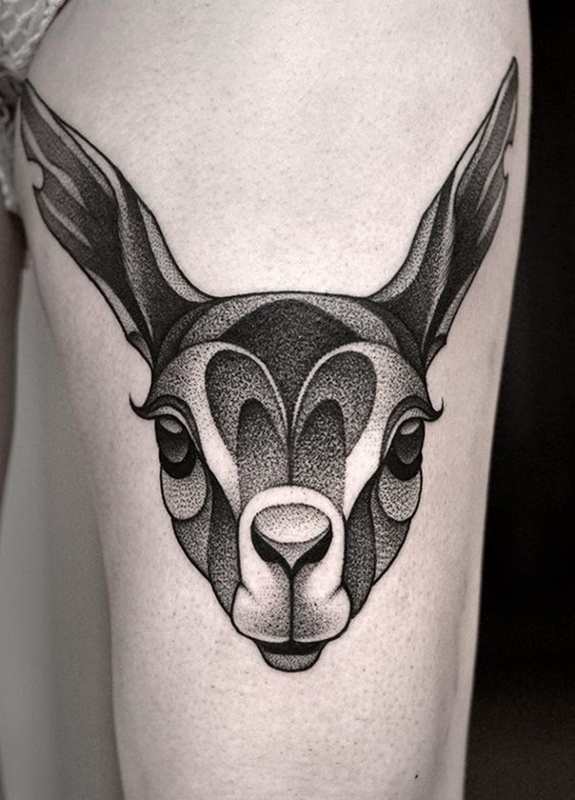 This animal portrait looks more engrossing with the addition of black lines. 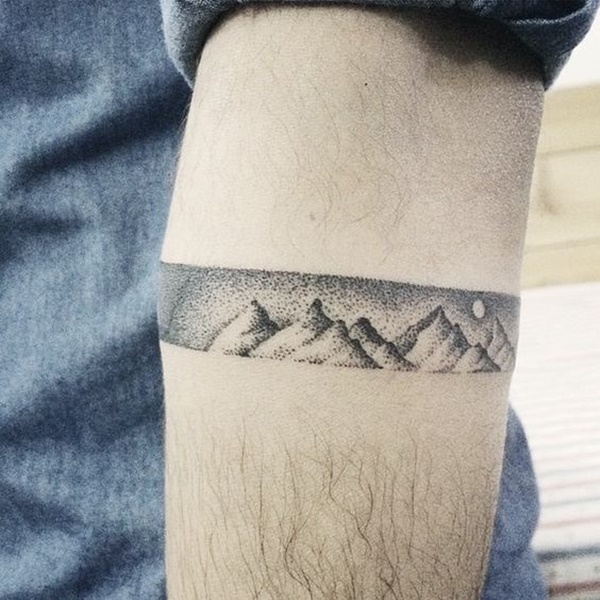 A strip of dotwork tattoo encircles the arm, with an image of a mountain range imprinted inside. 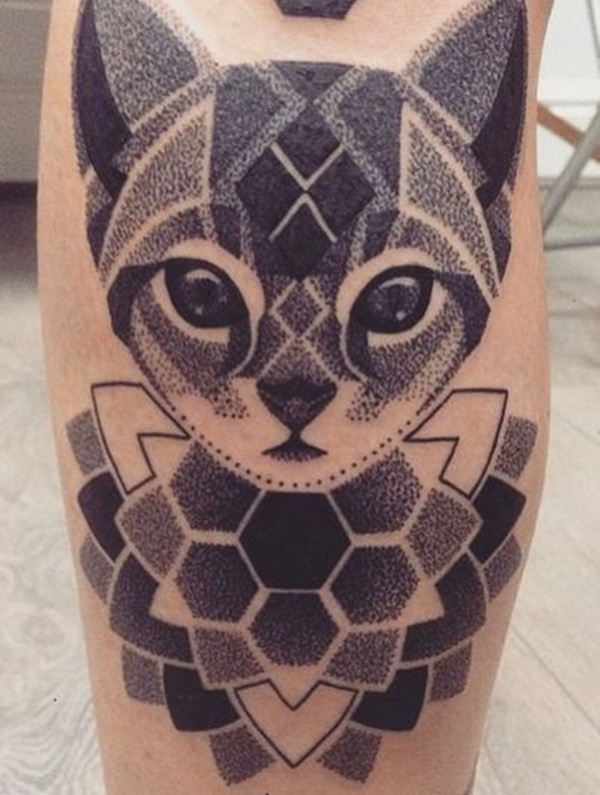 Instead of creating the typical animal portrait, this tattoo is given a twist by using geometric shapes. 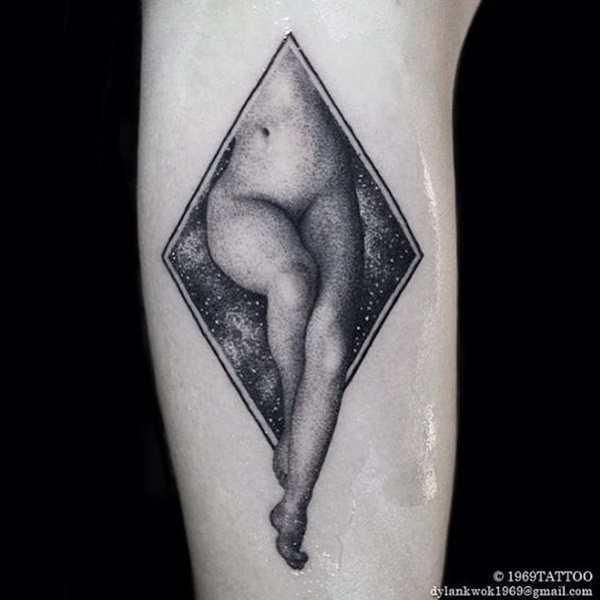 Inside a diamond-shaped outline lies the lower half of a woman’s body, most likely depicting the allure of females. 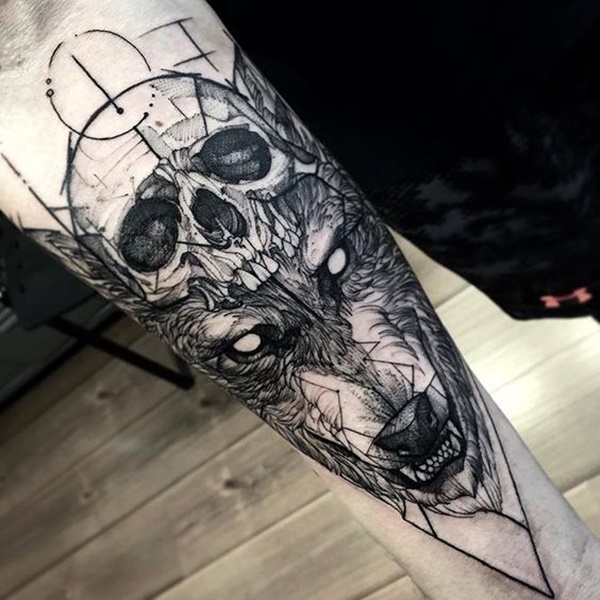 Wolves themselves already look fierce, but the addition of a a skull to this wolf tattoo makes it stand out. 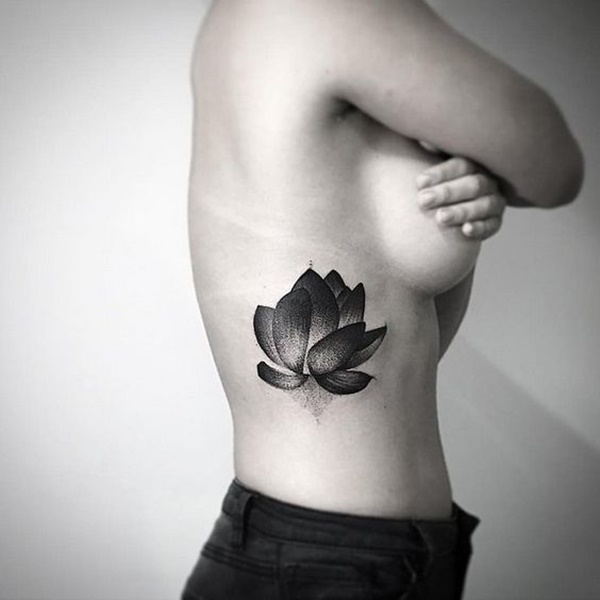 The placement of this flower tattoo is quite creative, and the curves conforms to the shape of the chest, creating a seductive appeal. 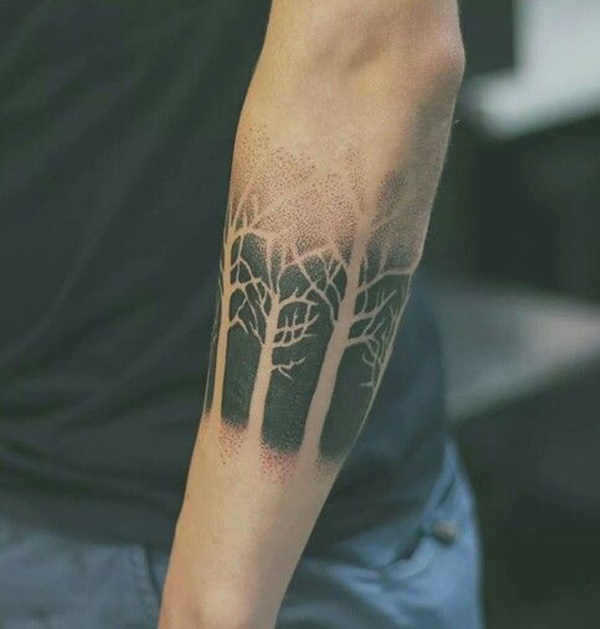 This unique arm sleeve shows off two tattoos that are seemingly connected but also set apart. 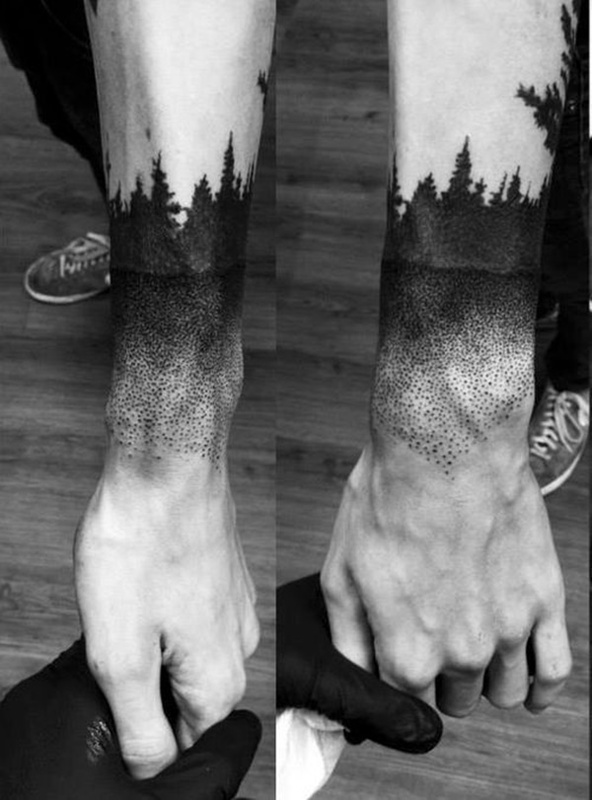 These forearm tattoos boast two strips that are completely shaded in black as well as grey areas with fewer dots. 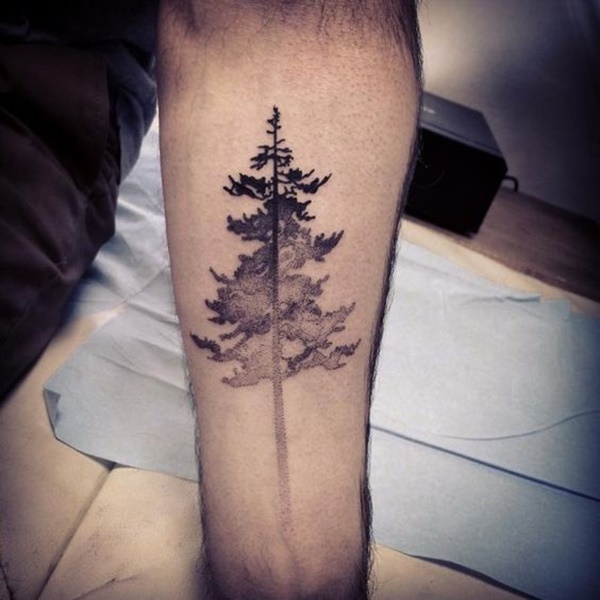 Basically the same style as the previous tattoo. 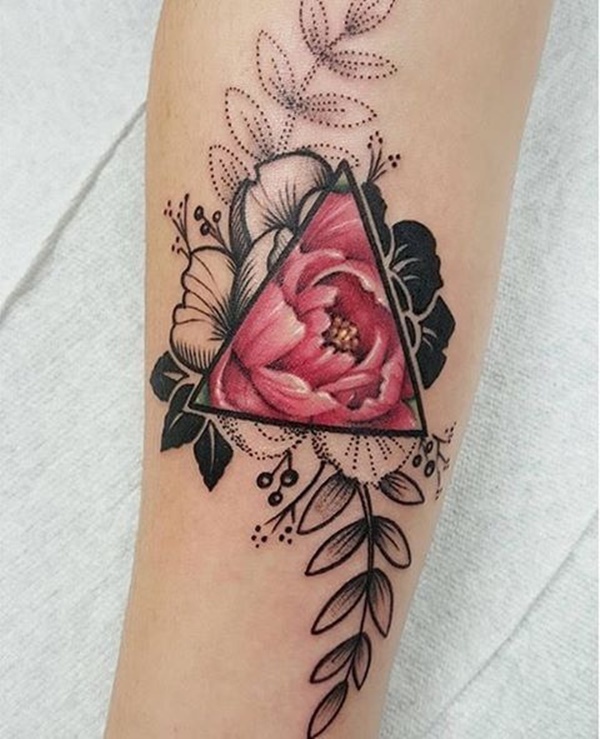 While flowers are a common element among many tattoos for any gender, this one depicts a more feminine nature. 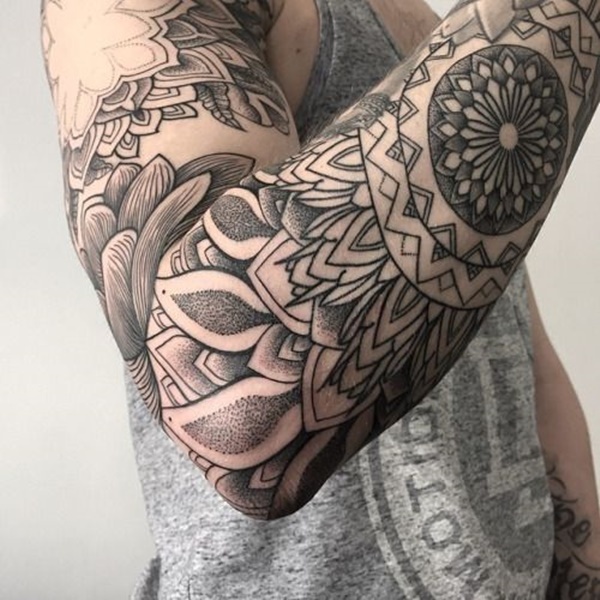 This amazing arm sleeve is characterized by dark and gray shades, thick lines, and wonderful shapes. 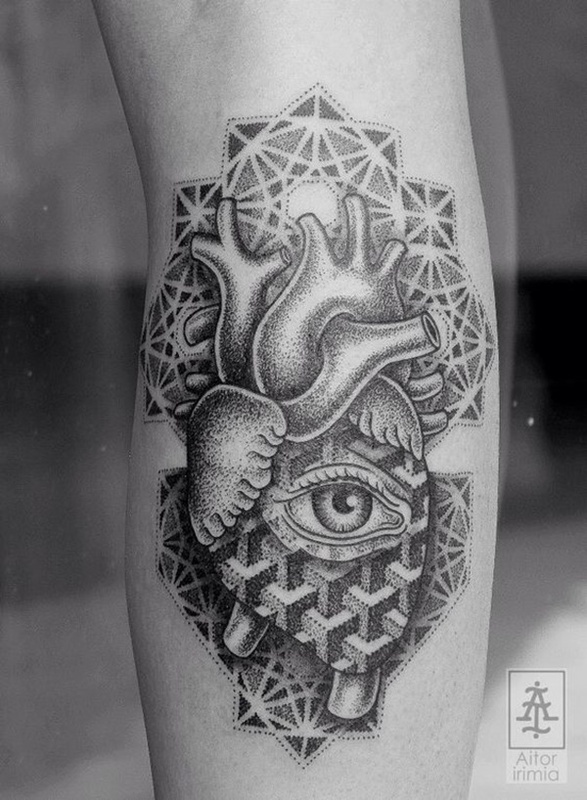 It looks a bit spooky, but this twisted pointy hand tattoo boasts fine dotwork artistry. 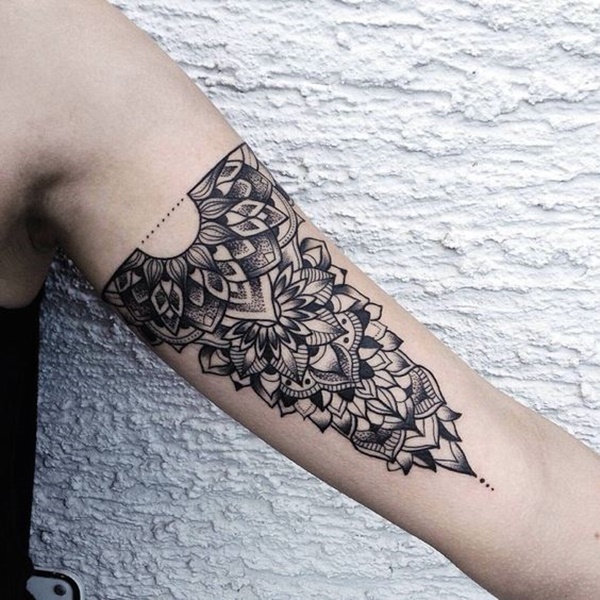 A black triangle highlights the beautiful dotwork flower tattoo. This simple shell tattoo is a perfect option to complement nautical tattoos. 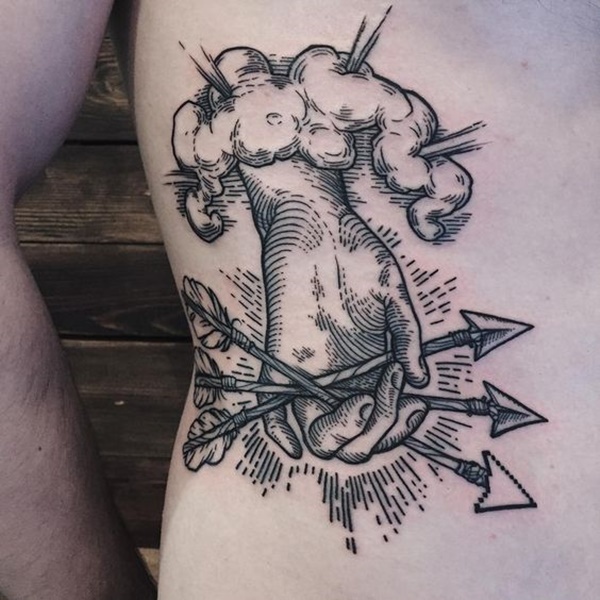 Another thought-provoking tattoo that stimulates your brain. 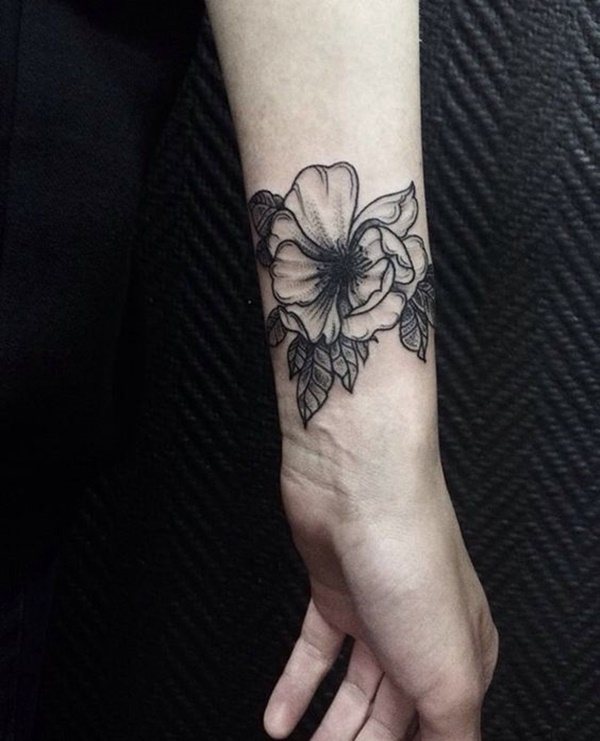 This floral tattoo permanently embellishes your arm and looks like a beautiful bracelet. 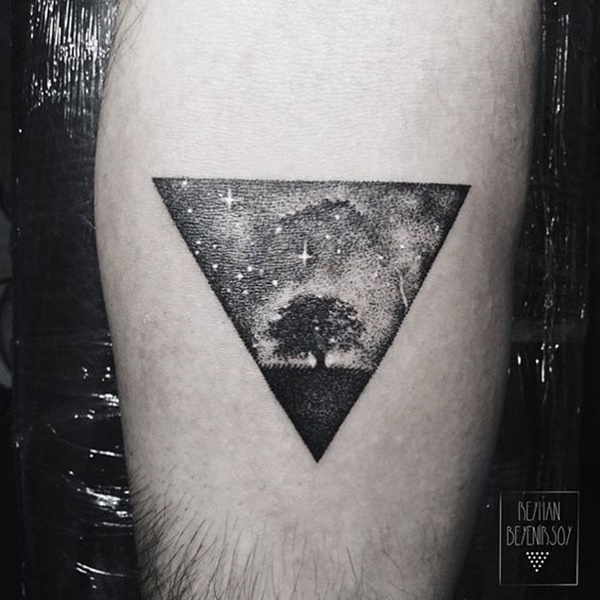 This tattoo covers the nape of the neck and the upper back. At first glance, it looks like an intricate accessory that’s part of a gorgeous traditional attire. 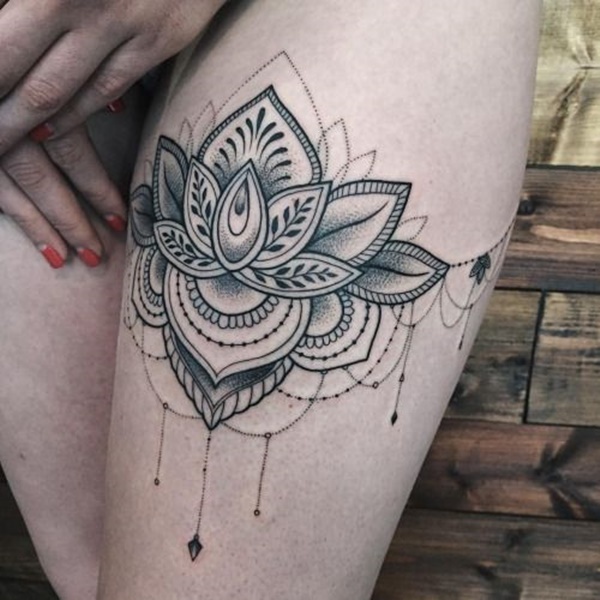 The red shading brings color and life to this flower tattoo. 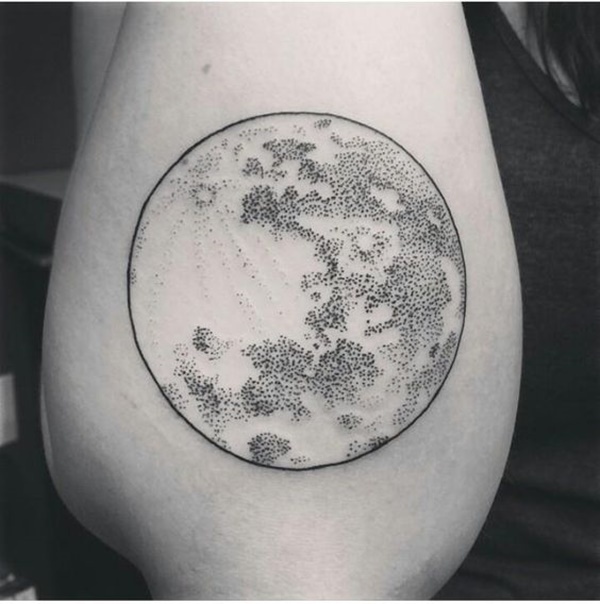 What better way to portray the craters and shades of the moon than ink them dotwork style? Arm sleeves stretch from the shoulder down to the wrist, transforming the arm into a beautiful piece of art. The heart doesn’t simply feel but also sees what’s right and wrong. 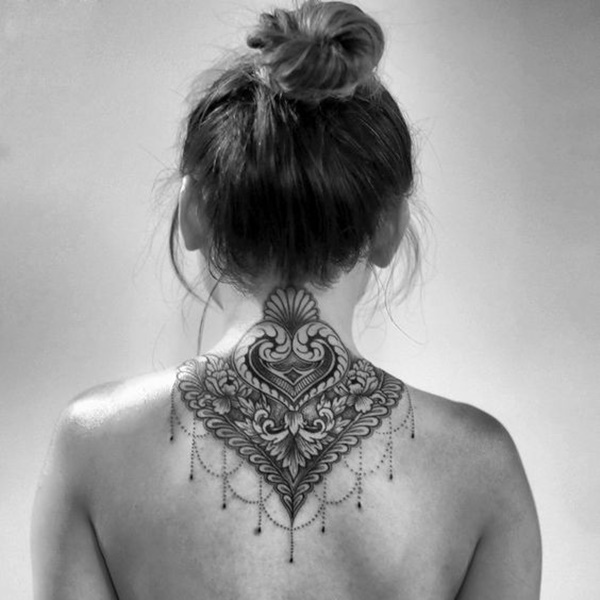 Starting from the nape of the neck down to the woman’s bottom, this incredibly stunning back tattoo exudes beauty, charm, and appeal. 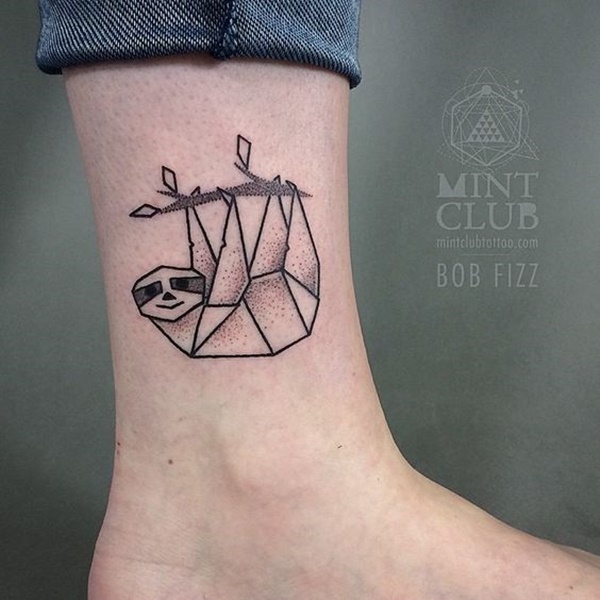 This geometric tattoo portrays the adorable sloth using geometric shapes. 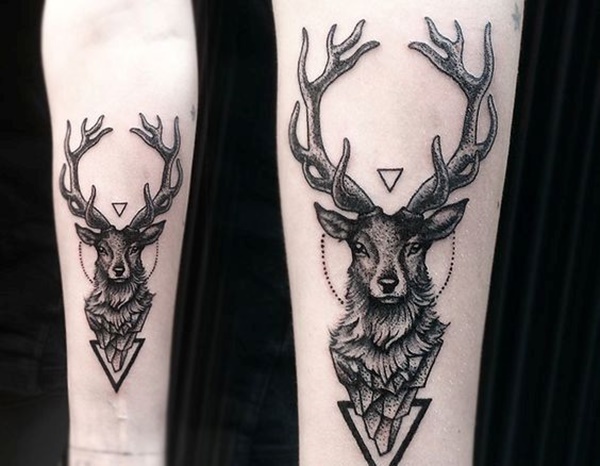 This animal portrait that shows off the beauty of stags. 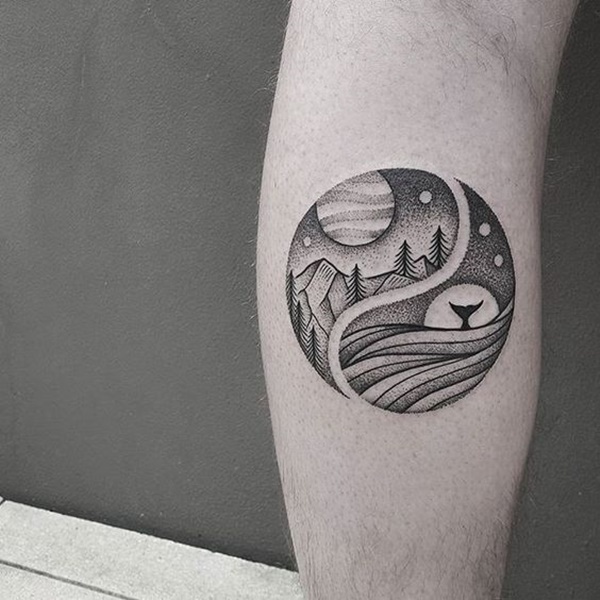 Created in the shape of the Yin Yang, this meaningful tattoo depicts the image of the forest and portrays a sense of balance. 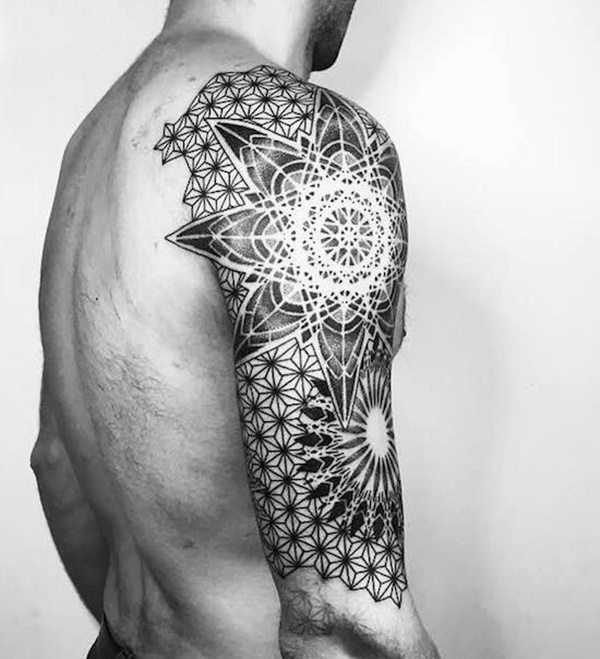 This large mandala dotwork tattoo covers the shoulder and upper arm. 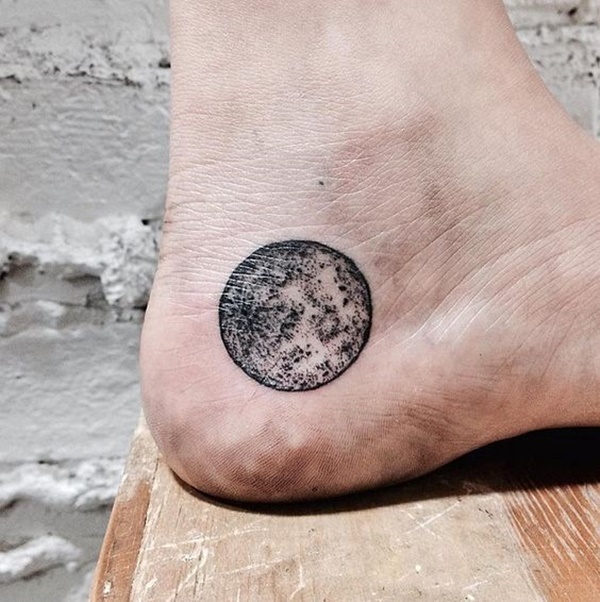 Inked on the side of the foot near the ankle, this small circular tattoo shows the image of the moon. 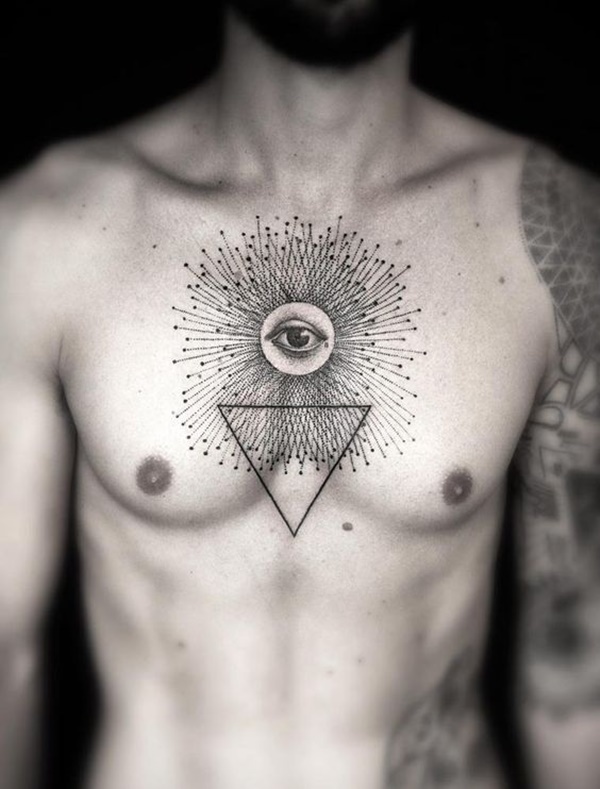 The eye is a very symbolic element found in many tattoos, and it never fails to stimulate thoughts. 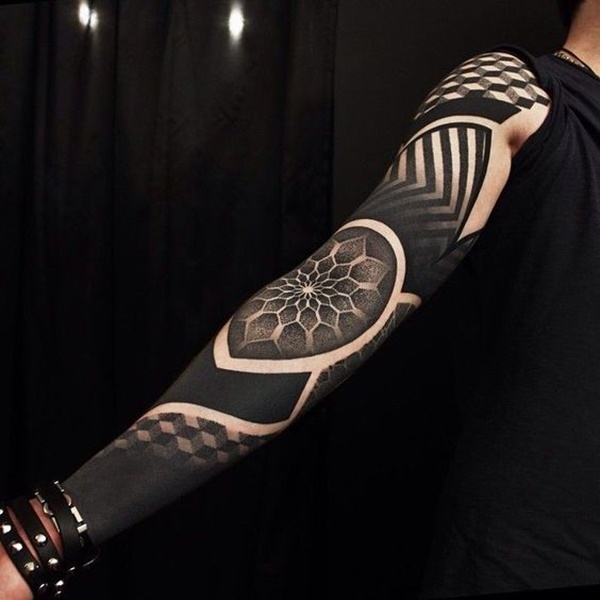 Another arm sleeve that boasts complex shading and proportional shapes. 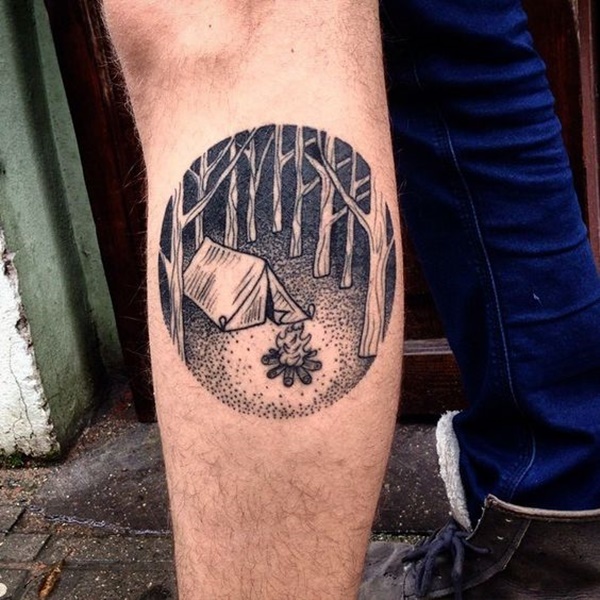 If you love going on outdoor adventures and camping in the woods, this tattoo is a great choice. 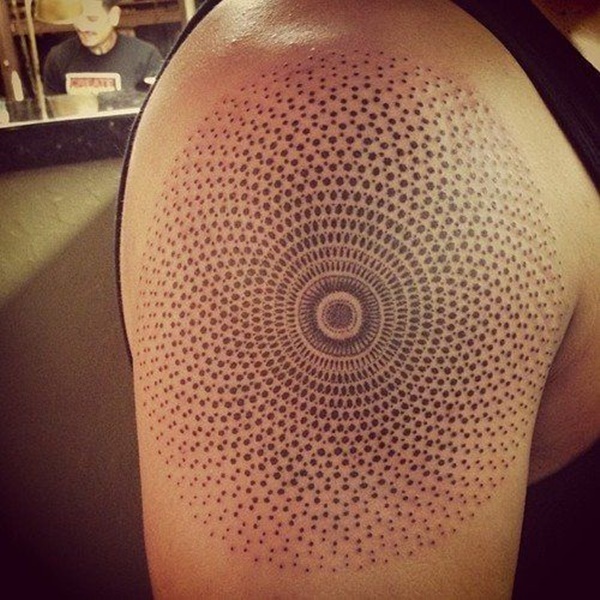 Rows of dots encircle this classic tattoo design. 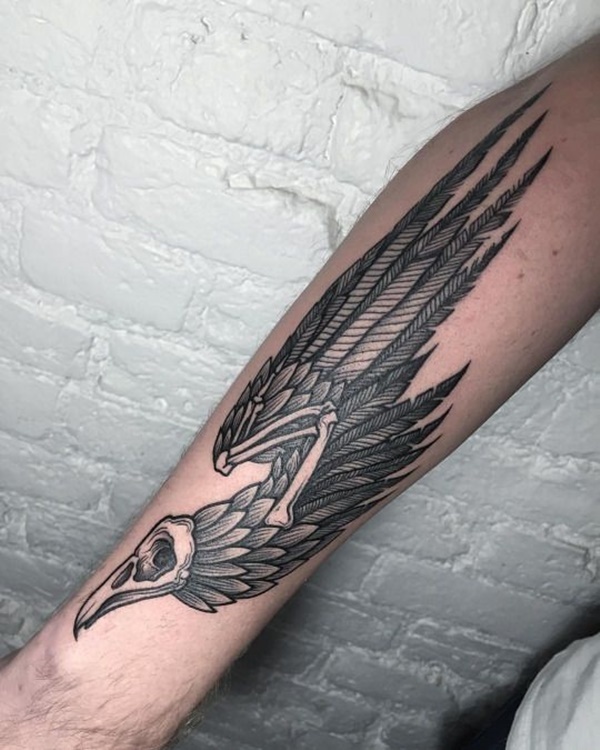 The skull is another recurring element in tattoos, as it looks really badass and masculine. 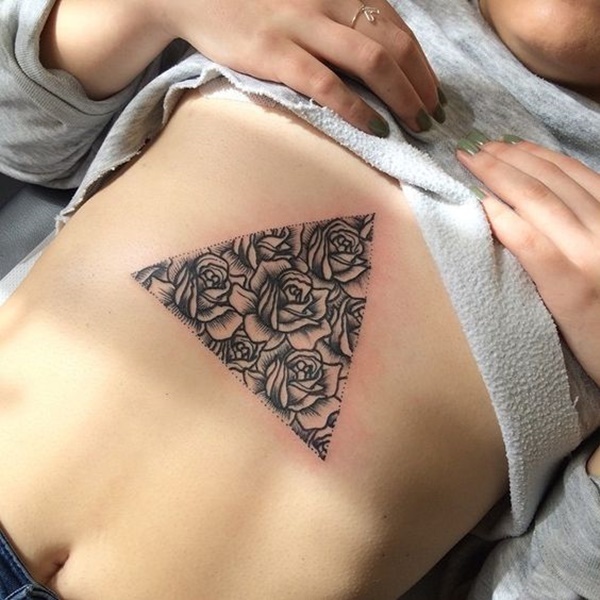 Many people choose geometric tattoos because of their stunning symmetrical beauty. 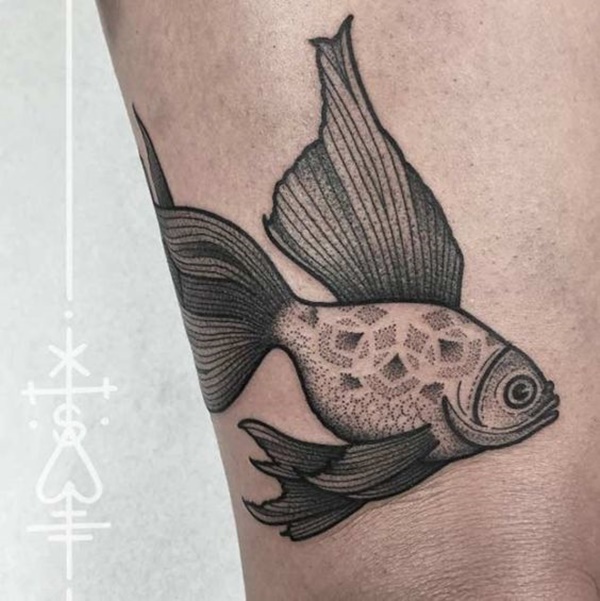 Dotwork is an ideal technique when inking animal designs, as it brings out the beauty and creates intricate details, such as the scales and fins of this fish tattoo. 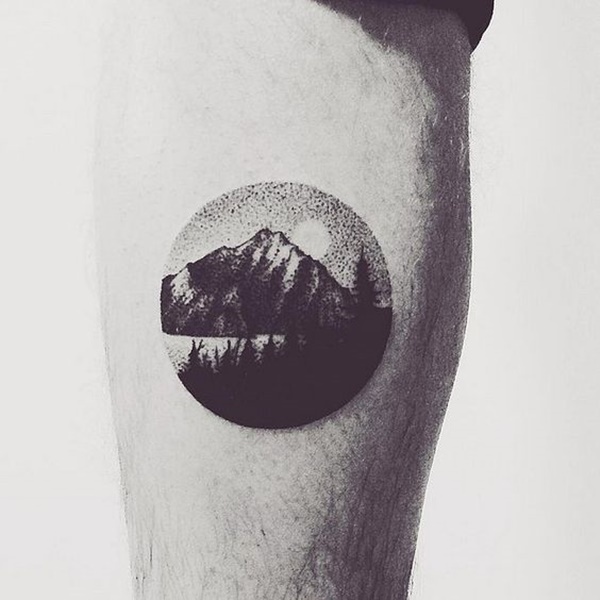 Rugged lines and dotwork shading characterize this mountain tattoo. 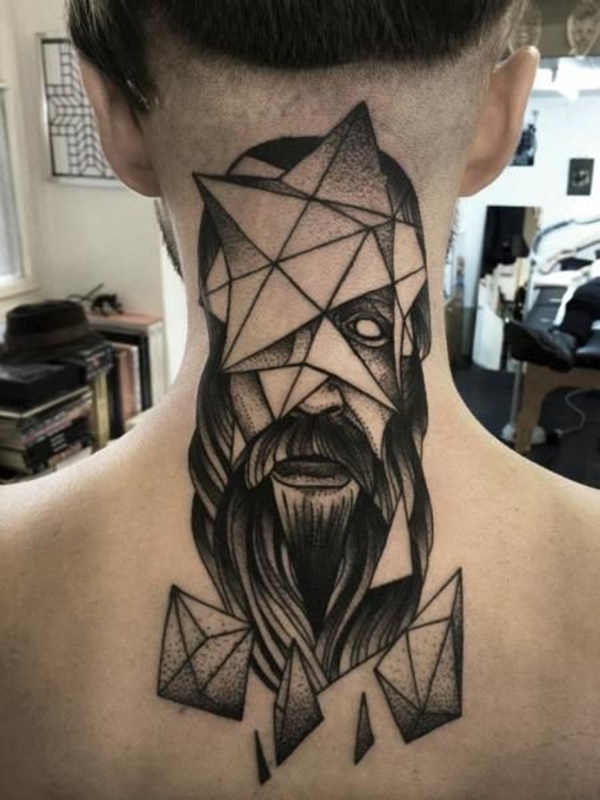 Stretching from the nape of the neck down to the upper back, this tattoo fuses geometry and portrait tattooing to create a unique, thought-provoking design. 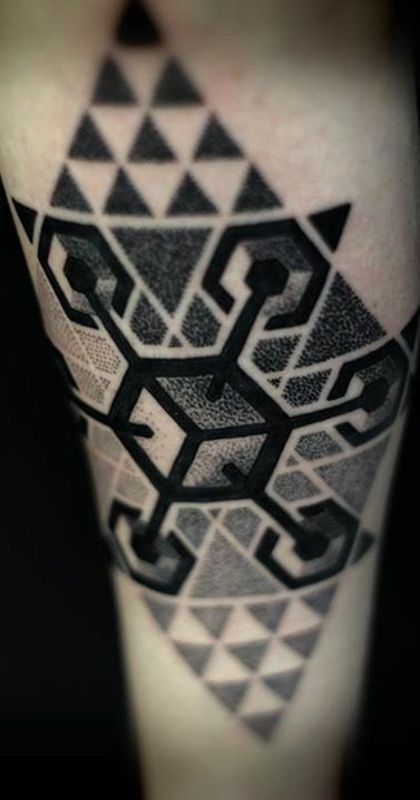 A seeming optical illusion lies in the middle of this distinct tattoo. 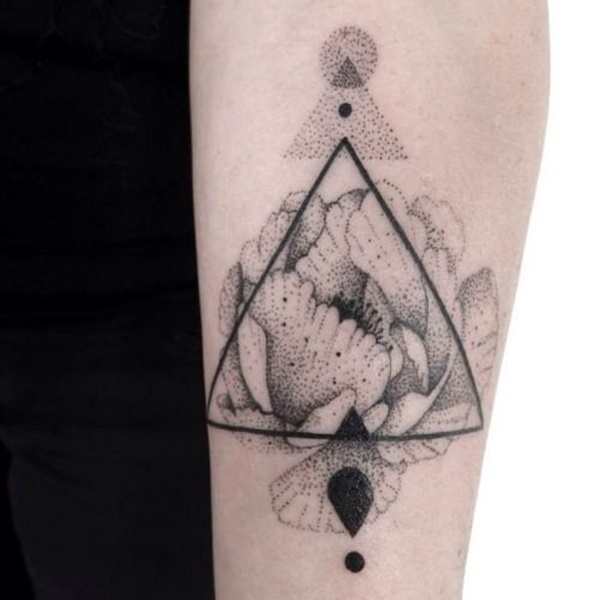 A gorgeous dark and gray flower tattoo lies inside a triangular outline. 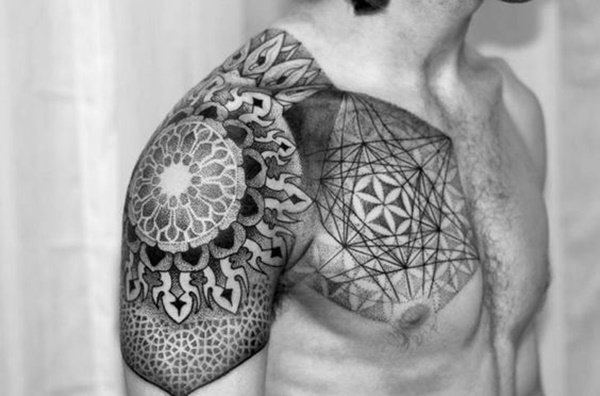 One layer of dots, a second black-shaded layer, and a third thin line encircle the upper arm, while a wonderfully symmetrical geometric design lies in the middle. 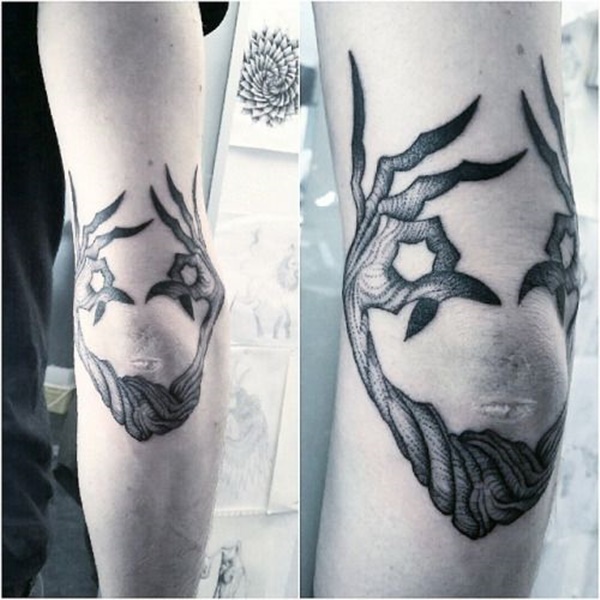 What makes this tattoo quite appealing is the continuation of the design down at the wrist. 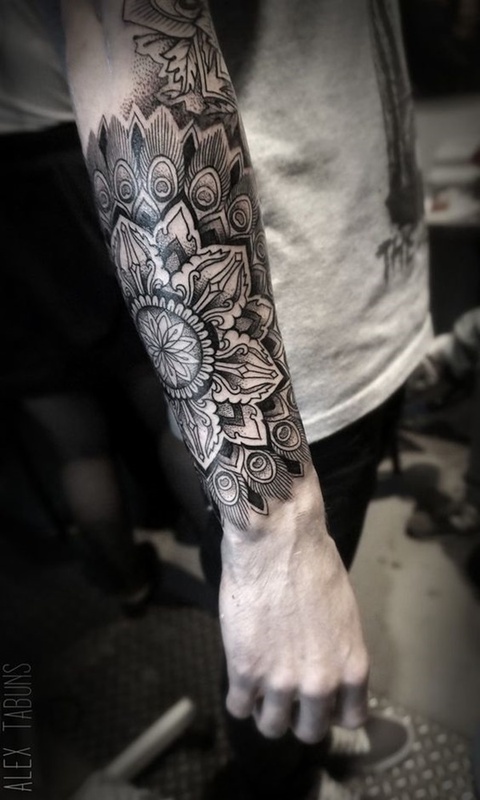 Mandala designs are best inked using the dotwork technique. 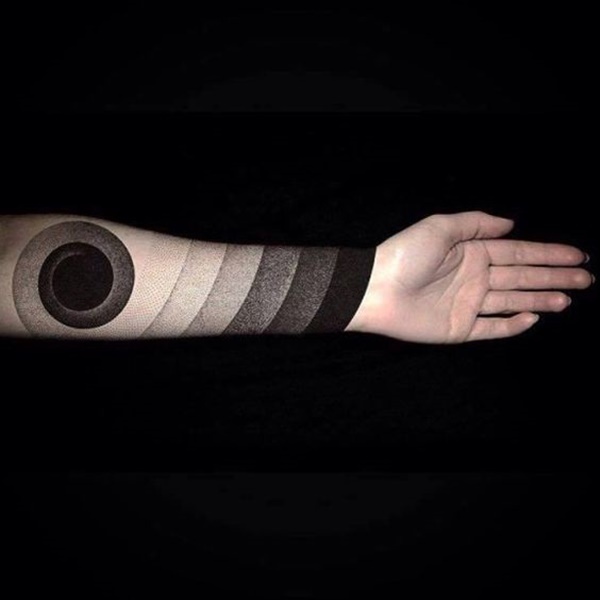 This forearm tattoo boasts multiple layers with different gradation, with the top layer at the wrist being the darkest. 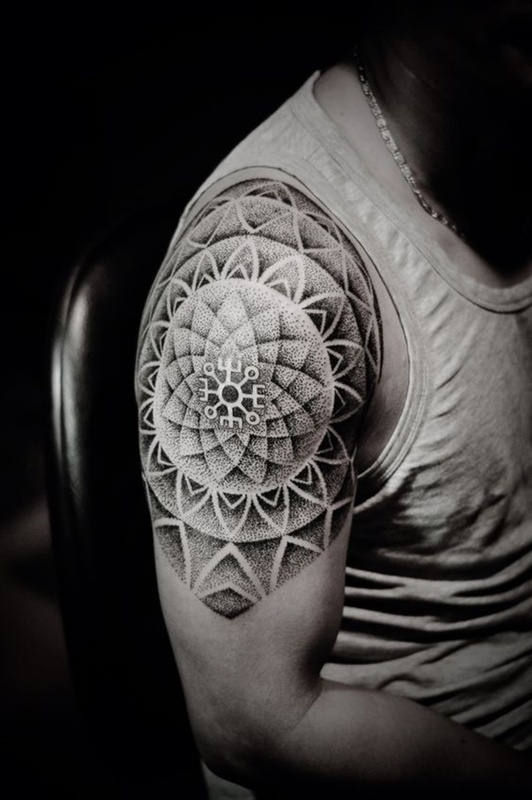 The shading becomes lighter as the tattoo moves up the arm, and the design converges into a circular element. 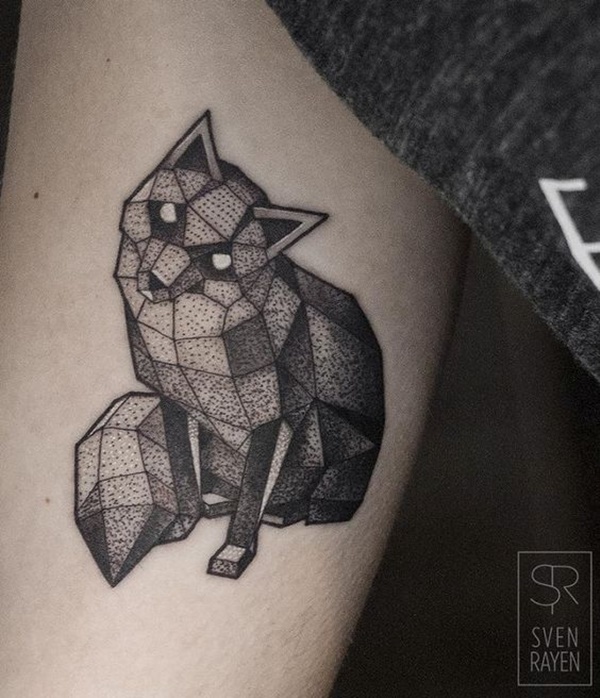 This tattoo shows off the image of a fox looking upward, and it consists of geometric shapes and amazing dotwork shading. 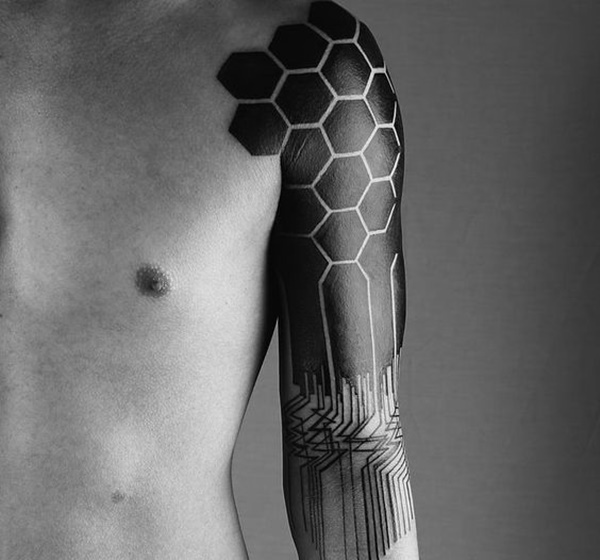 This geometric tattoo almost looks like a biomechanical design. 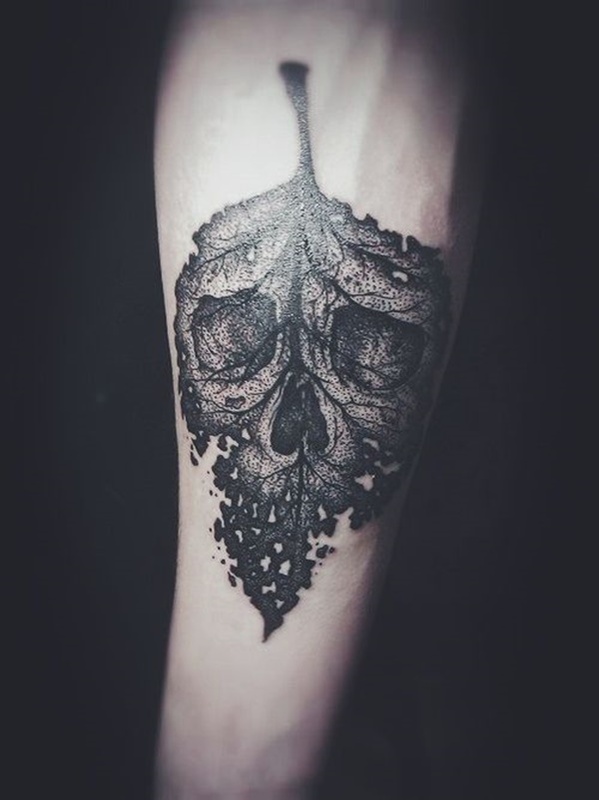 Skulls and skeletons are portrayed excellently using the dotwork style. 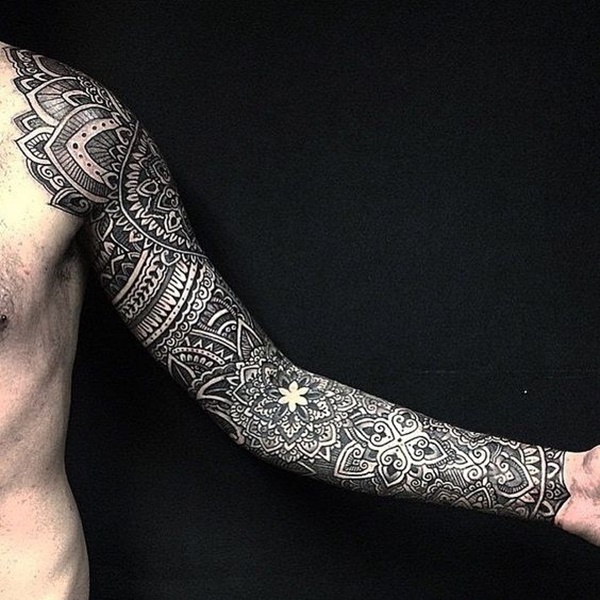 A striking forearm tattoo that boasts symmetry. 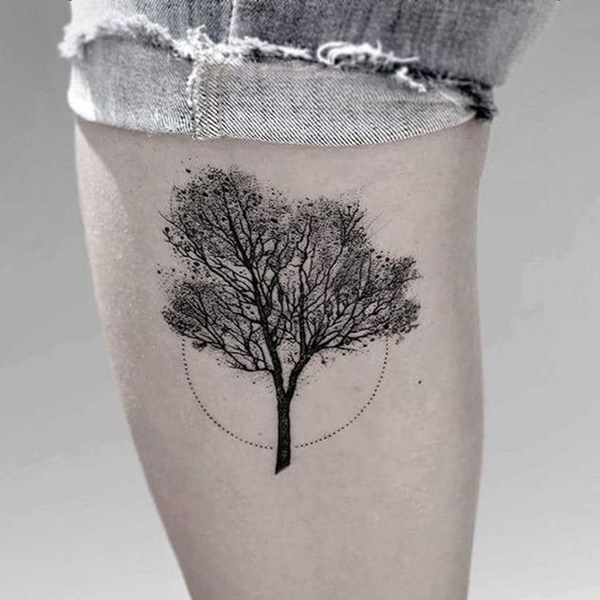 This circular dotwork tattoo looks stunning as it depicts a realistic view of nature. 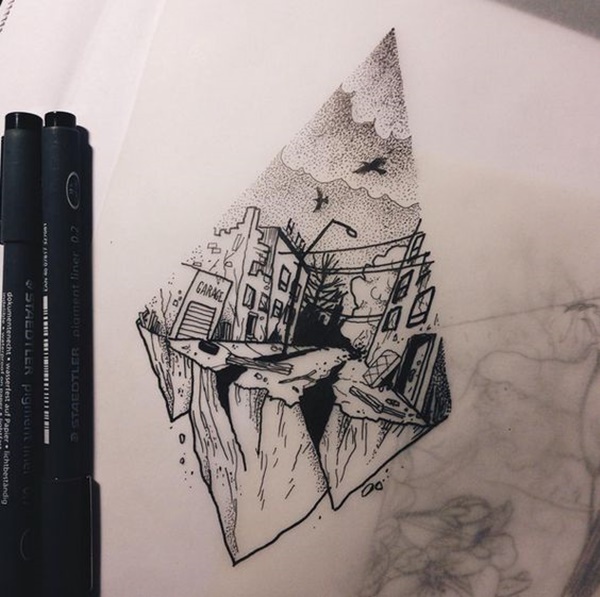 This meaningful tattoo design likely expresses something about a town being destroyed, perhaps by an earthquake, as the road has cracks and lots of debris. 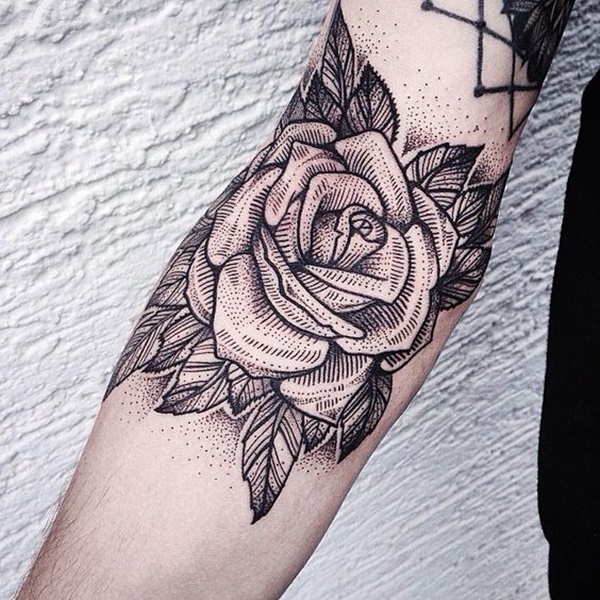 This eye-catching tattoo features a lovely rose accentuated by dotwork shading. 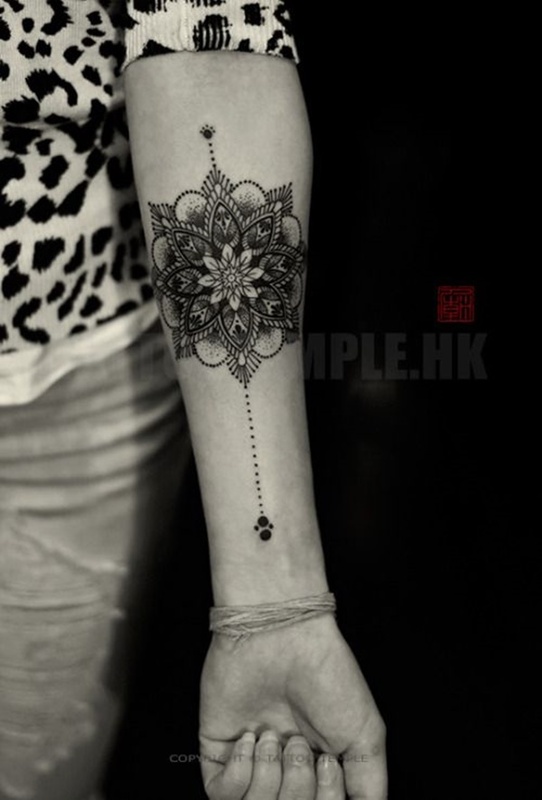 This finely detailed dotwork tattoo wraps around the lap, adding an enticing appeal to the body. 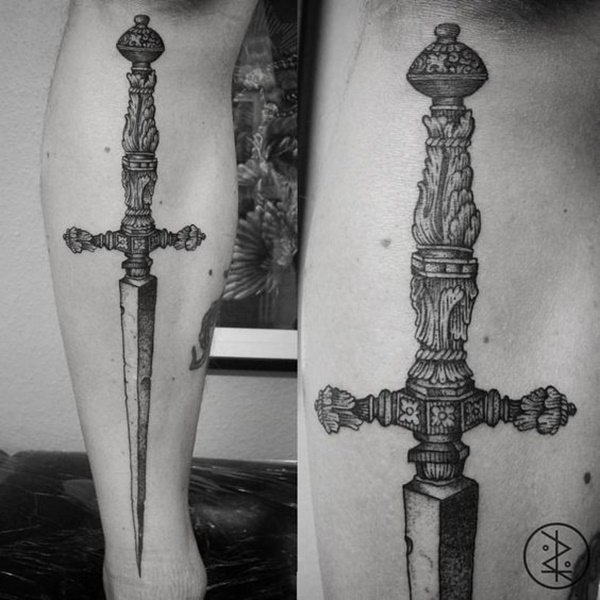 A meticulously crafted dagger tattoo showcasing a rough blade and well-detailed handle. Do you dream of flying in the skies and dancing with the clouds? 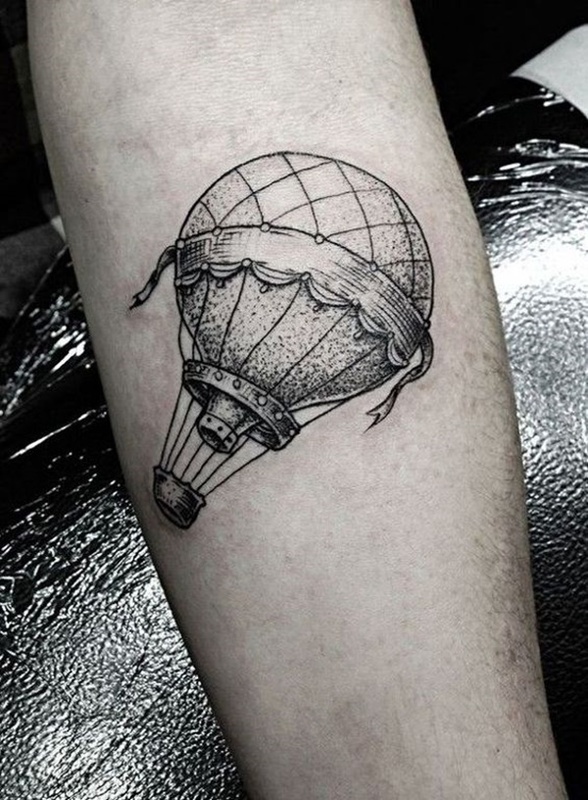 This black and gray balloon tattoo perfectly expresses your wanderlust. 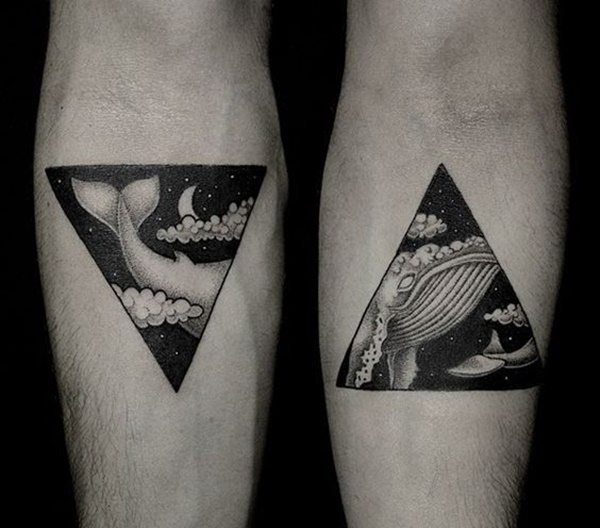 Inked on both forearms, these tattoos feature the image of a majestic whale inside triangular shapes. 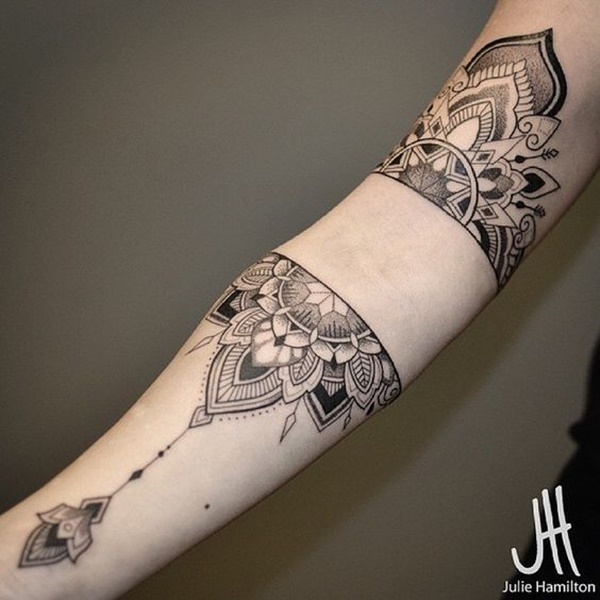 A wonderful mandala tattoo that embellishes the arm. 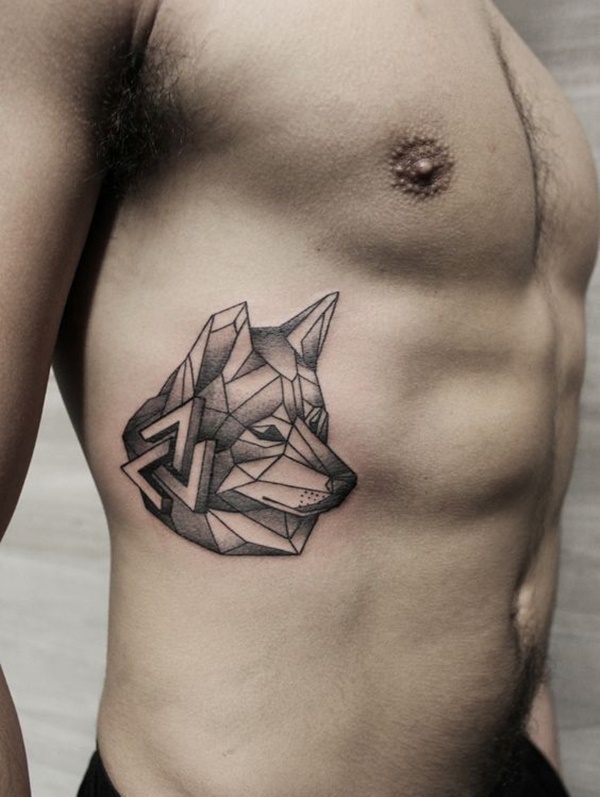 This flank tattoo features the side view image of a wolf depicted using geometric shapes and lines. 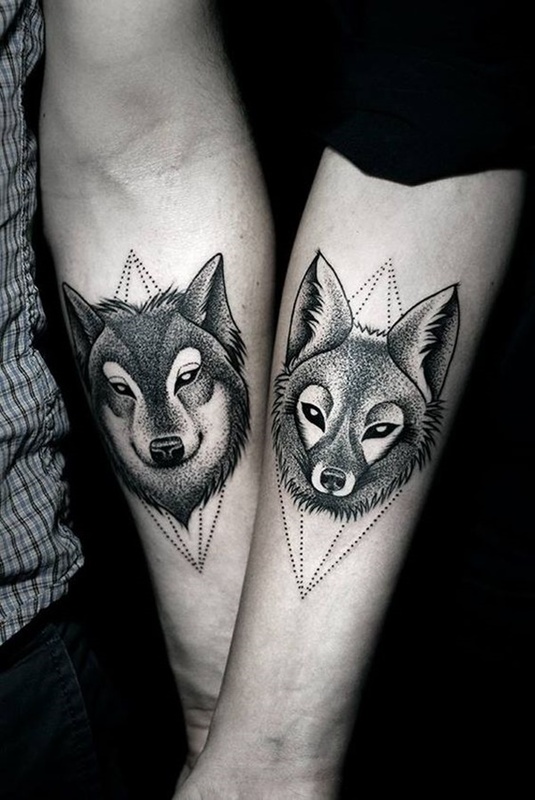 These tattoos complement each other, making them perfect for couples. 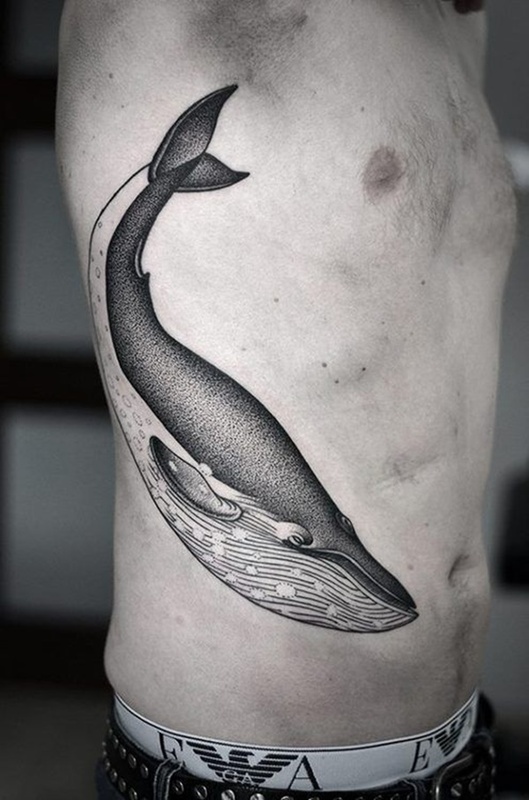 This majestic yet endangered species makes for a wonderful animal dotwork tattoo option. 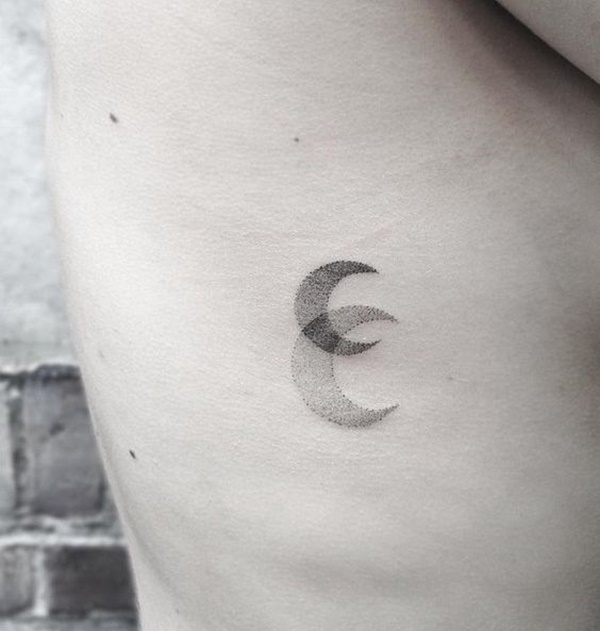 If you want a very simple and unobtrusive tattoo, this pair of overlapping moons is a wonderful tattoo design. Does it look like the tail of a dolphin or perhaps a whale? Maybe it’s actually a mermaid’s tail. 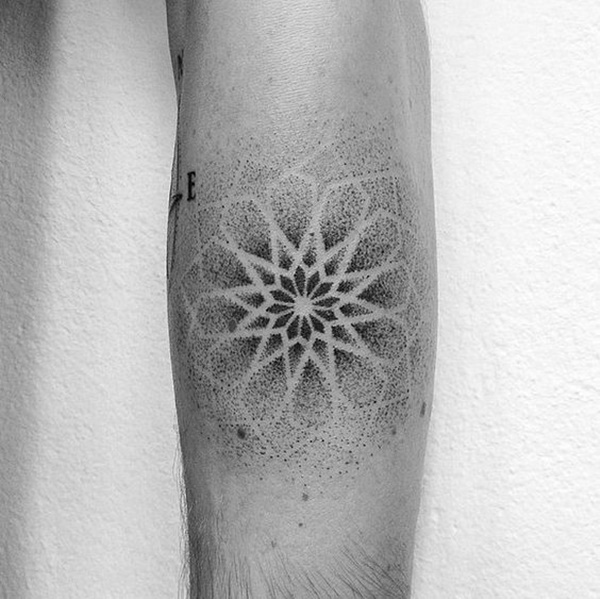 Another mandala dotwork tattoo that looks quite impressive at first glance. Overlapping diamond shapes create a fantastic optical illusion. 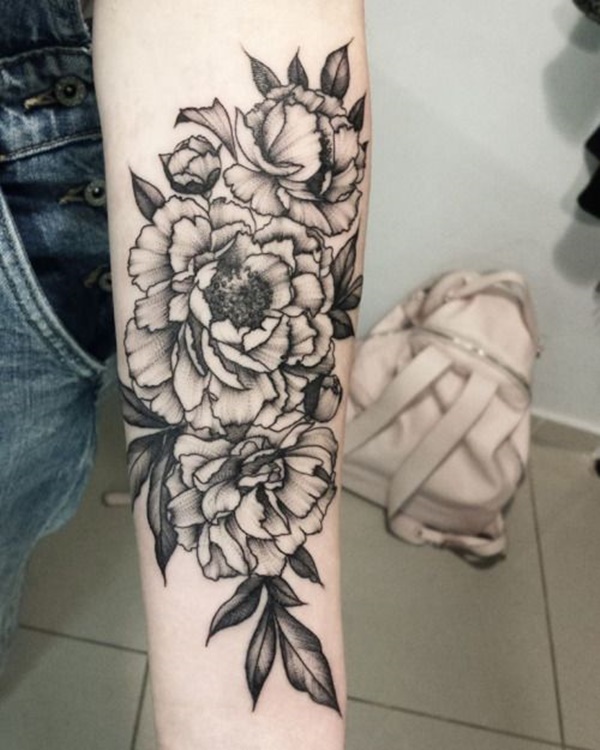 This black and gray tattoo showcases a floral design with predominantly dark shades. 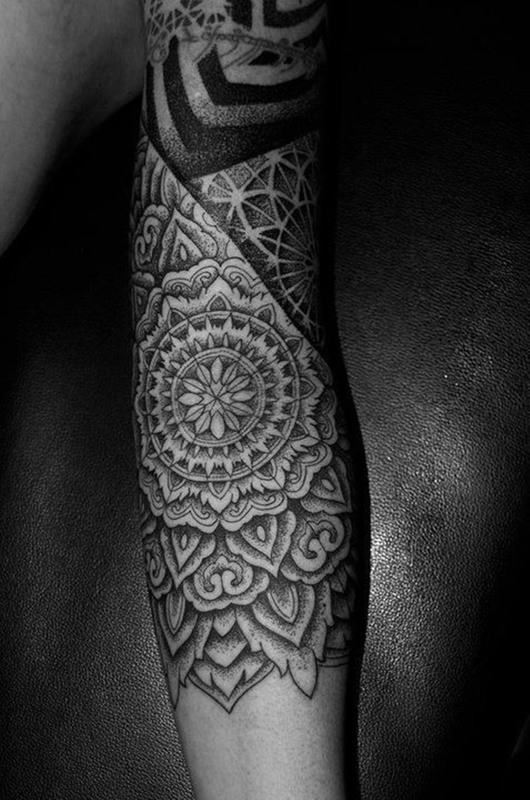 Mandala tattoos are perhaps the most popular designs when it comes dotwork inking. 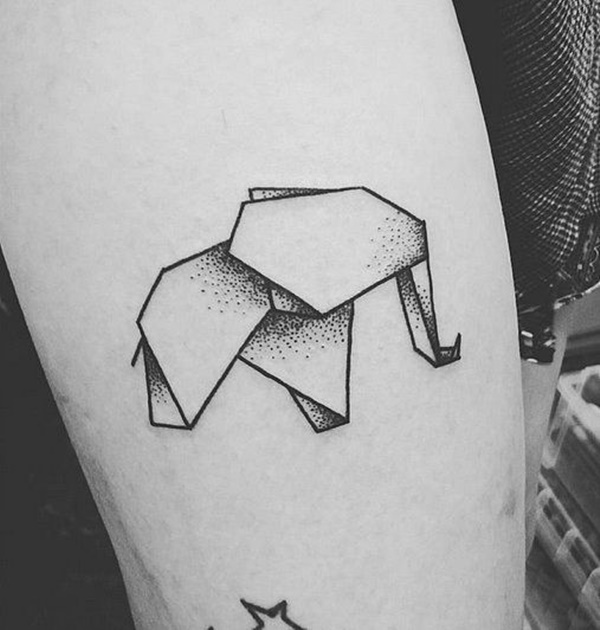 This fun elephant design looks like a small, adorable origami. 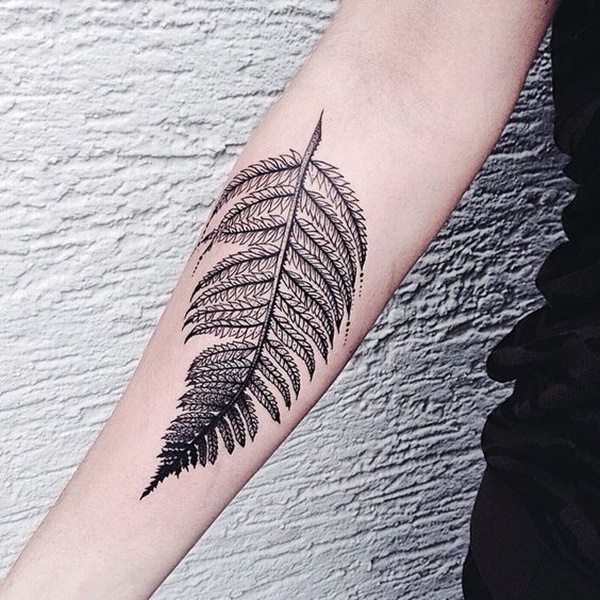 Ferns are non-flowering plants that consist of fronds, which are depicted excellently in this tattoo using dotwork technique. 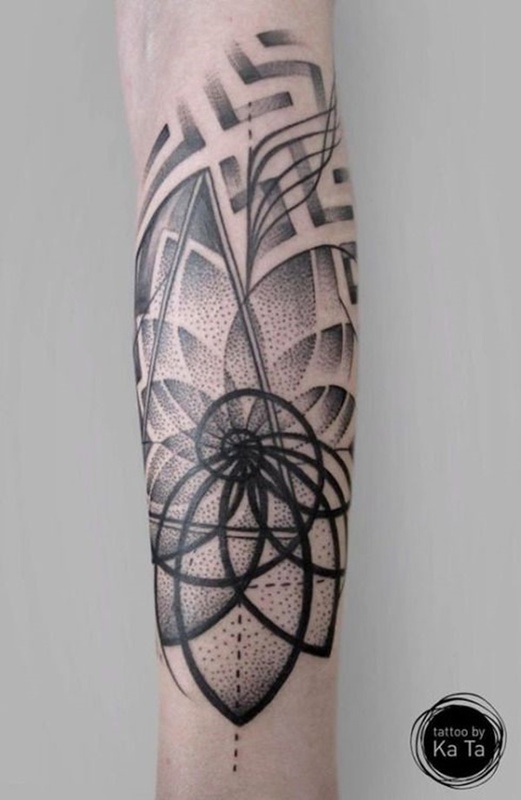 This realistic floral-themed tattoo showcases a pair of beautiful flowers with intersecting lines in the backdrop. 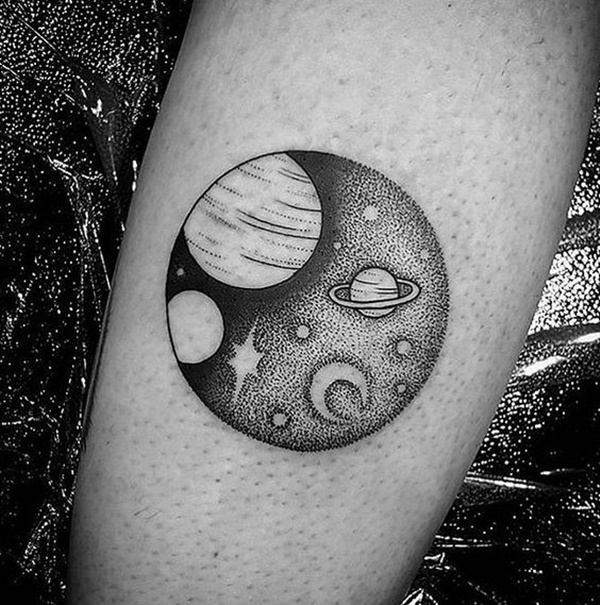 These matching tattoos cover the wrist and stretch upward to the elbow area. 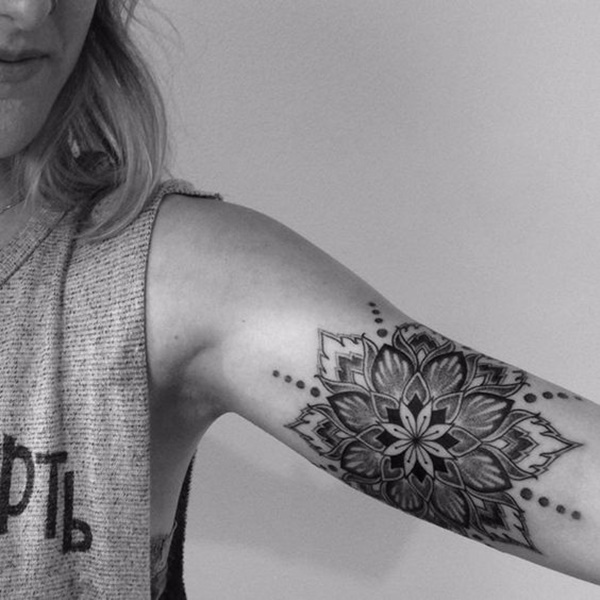 If you’re looking for mandala dotwork tattoo ideas, you’ll definitely have plenty of options as many people choose mandala designs. Do you want to express your free-spirited personality? 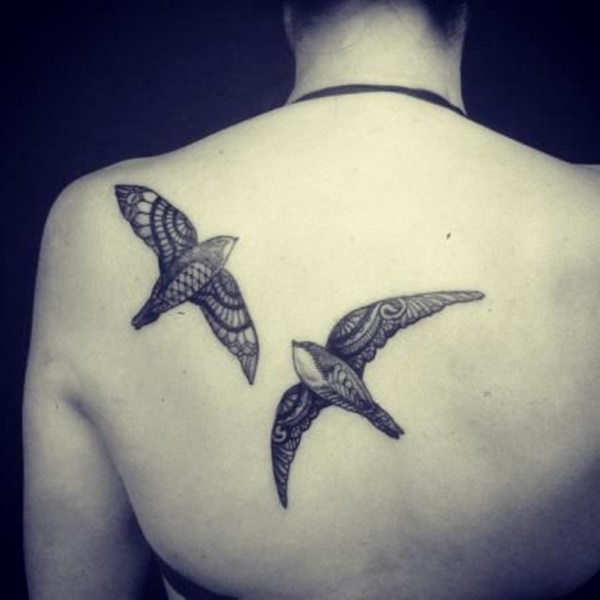 Tattoos portraying flying birds are best options to symbolize your freedom. 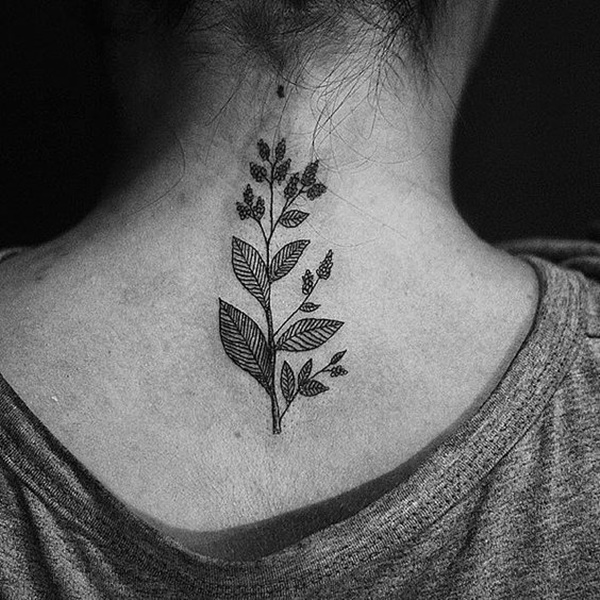 When making dotwork tattoos, dedicated tattoo artists typically don’t skimp on details, and they put in as much effort as necessary to ink details such as the lines on the leaves and berries of this plant-themed tattoo. 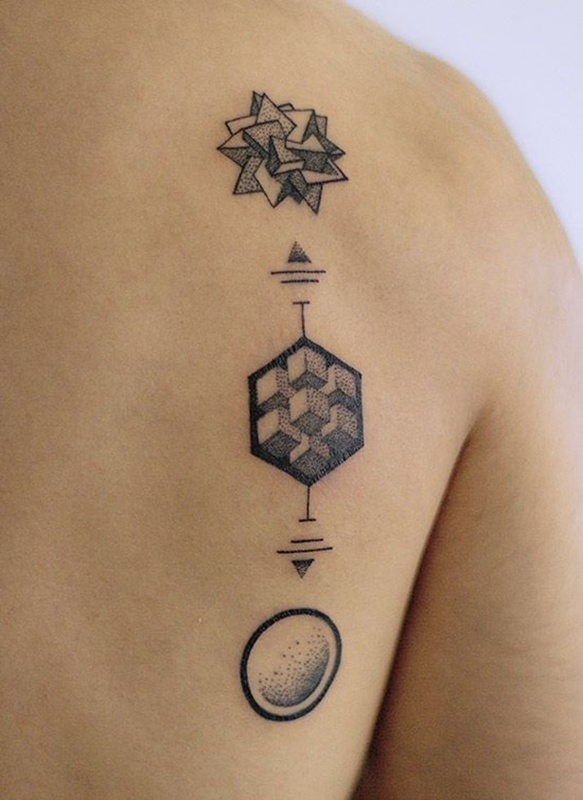 Symmetry and proportion are apparent in geometric tattoos. 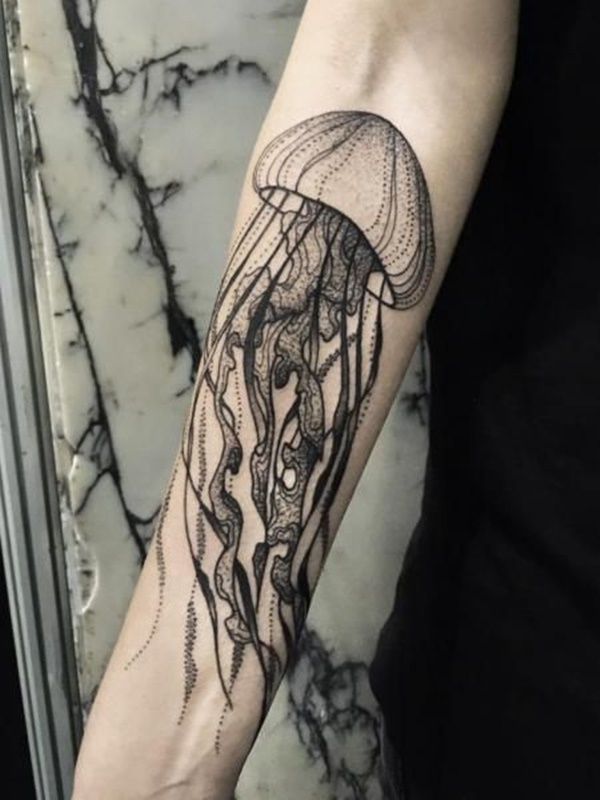 This jellyfish tattoo showcases fine details and skilled artistry. 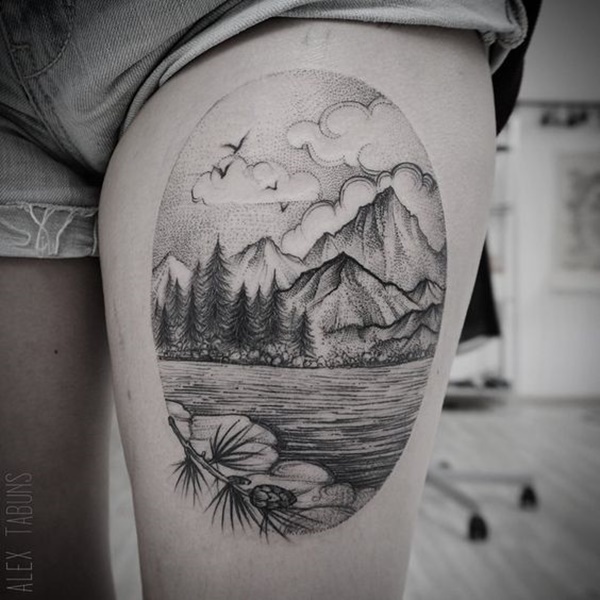 Nature-lovers would love tattoo designs that feature beautiful, picturesque scenery, such as a calm river against a backdrop of mountains and pine trees. 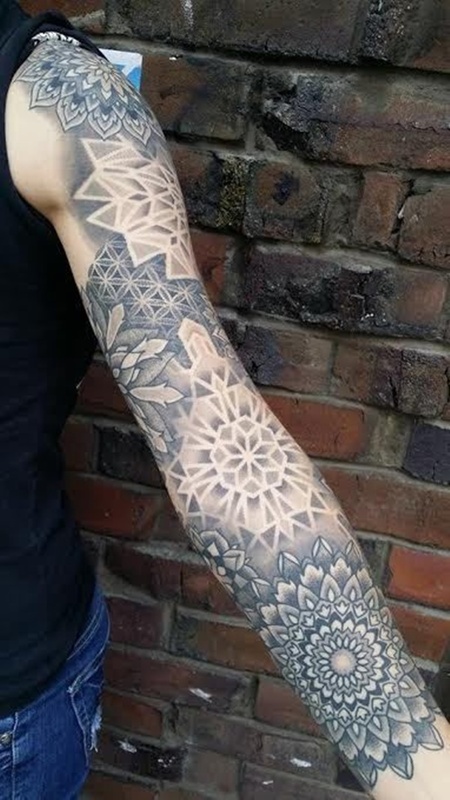 Fusing mandala and geometric themes, this arm sleeve primarily shows off dark shading. 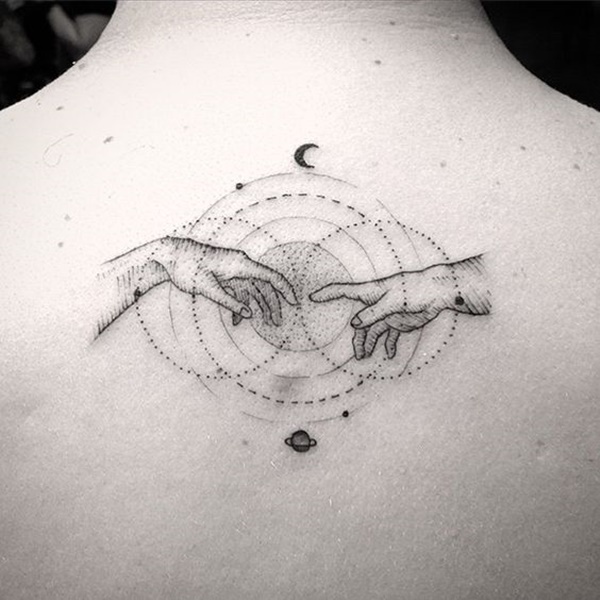 If you’re a stargazing enthusiast, it’s a good idea to personalize your tattoo by adding your favorite constellation. 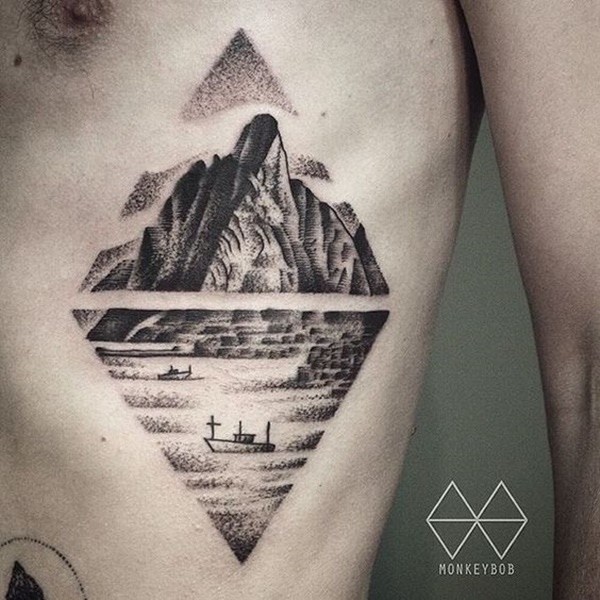 An empty linear space separates the pair of triangles depicting an image of the mountain and sea, with two boats sailing near the shore. 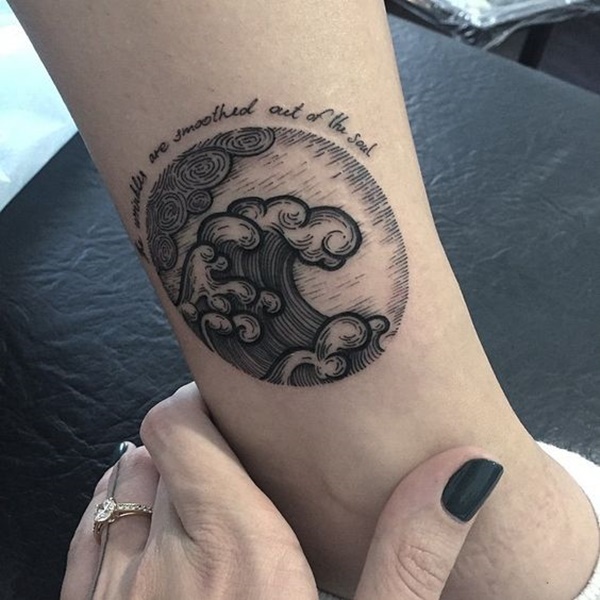 An inspirational quote surrounds this round tattoo, which portrays turbulent ocean waves amid a storm. 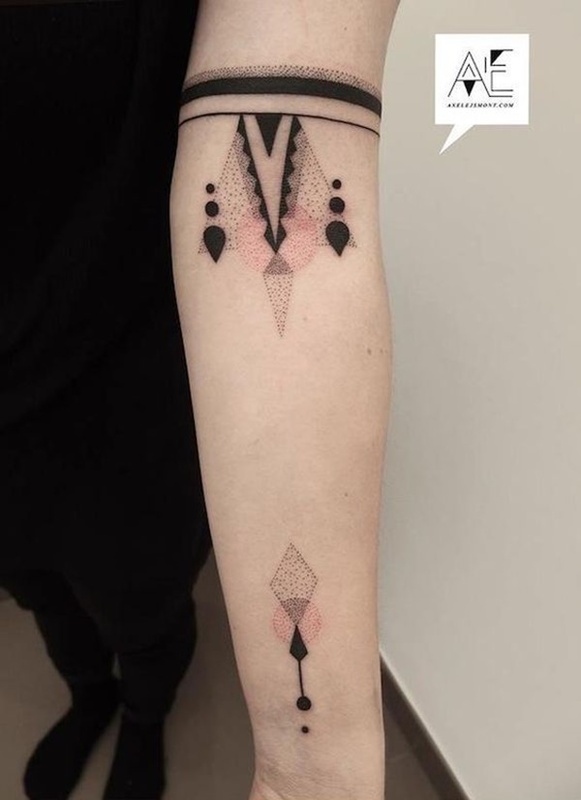 This symmetric tattoo repeats the same shapes over and over to create an aesthetic, proportional design. 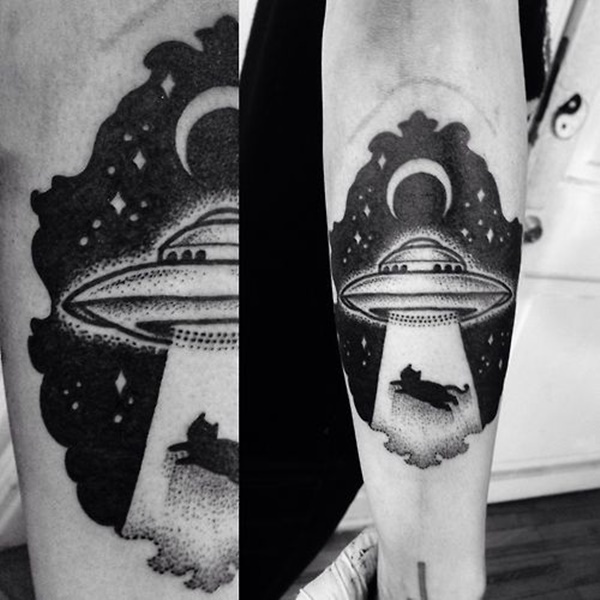 A rather whimsical tattoo showing the image of a black cat being taken by a strange unidentified flying object in the middle of the night. 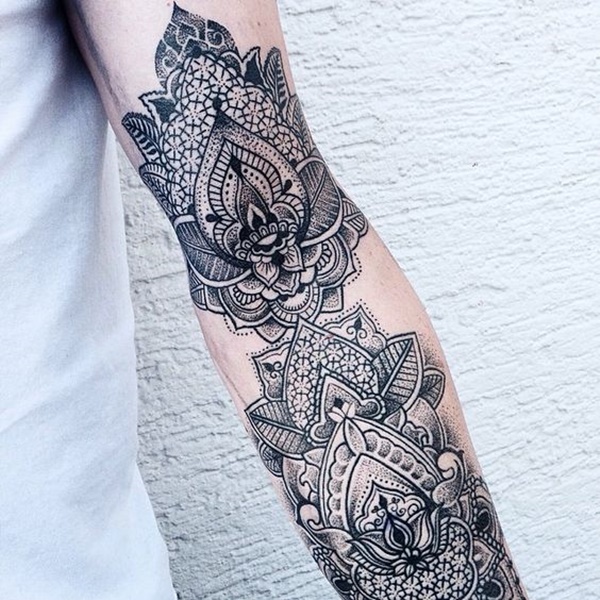 An impressive arm sleeve featuring dark and gray shading. 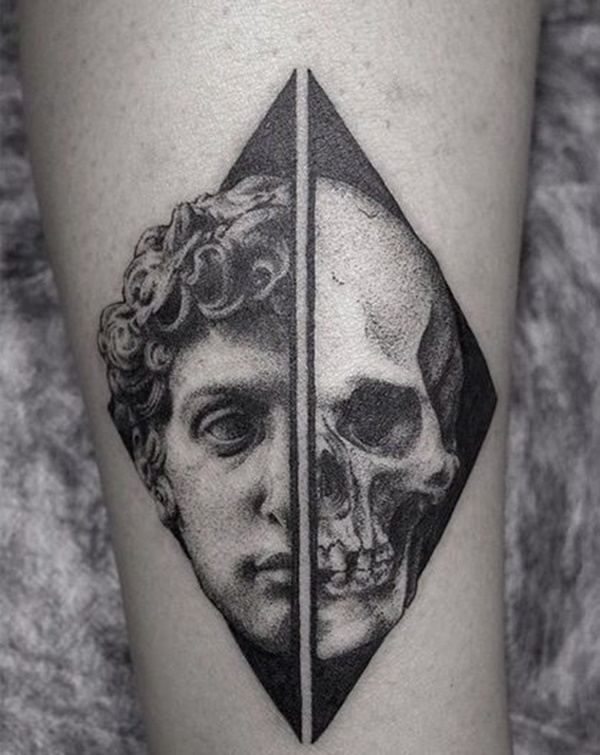 This mind-blogging tattoo looks quite intriguing, as it holds a deep meaning behind the fusion of the portrait of a man and a skull. Trees, plants, and flowers are always interesting subjects if you want to show your love and concern for the environment. If you’re familiar with the well-renowned fresco painting by Michelangelo, you’ll know that this image wherein two fingers almost touch is part of awe-inspiring “The Creation of Adam” artwork, which is part of the ceiling of the Sistine Chapel. The painting is a Biblical illustration that was inspired by the Book of Genesis. 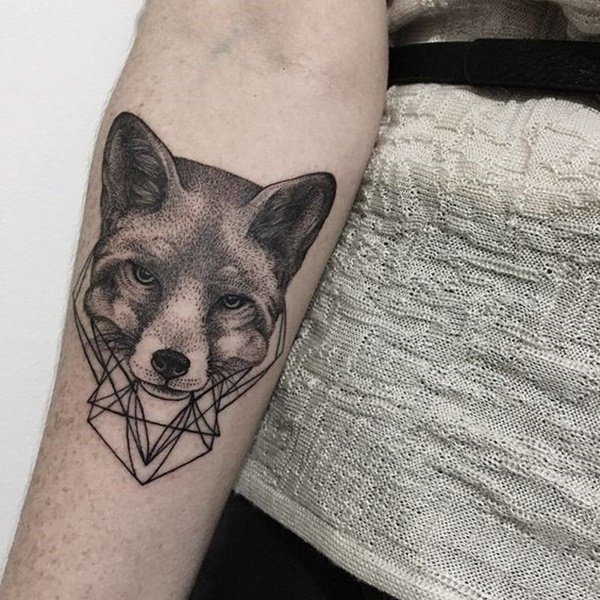 Congruous shapes comprise this cute animal dotwork tattoo. 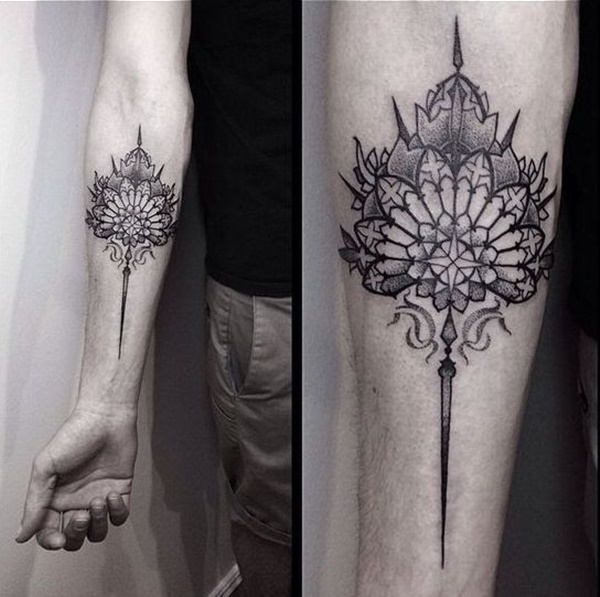 Mandala tattoos are perfect to ink on almost any part of the body, particularly the arm. “The Addams Family” is a very popular TV and movie series loved by many viewers. 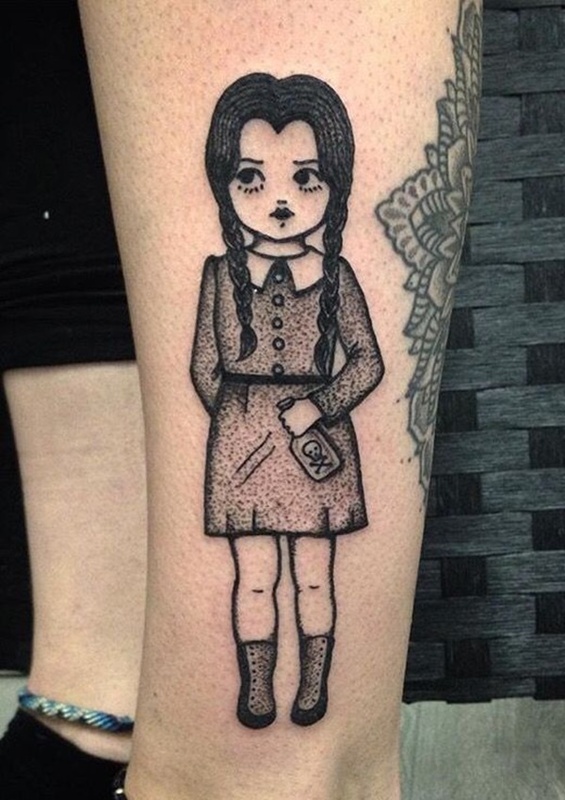 If you love Wednesday or any other member of the eccentric family, you’ll most likely find it fun to ink your skin with your favorite Addams family member.